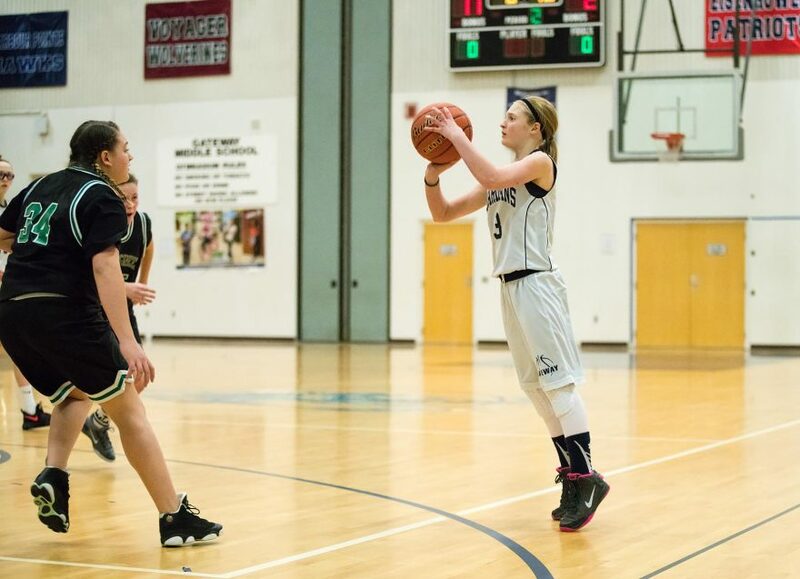 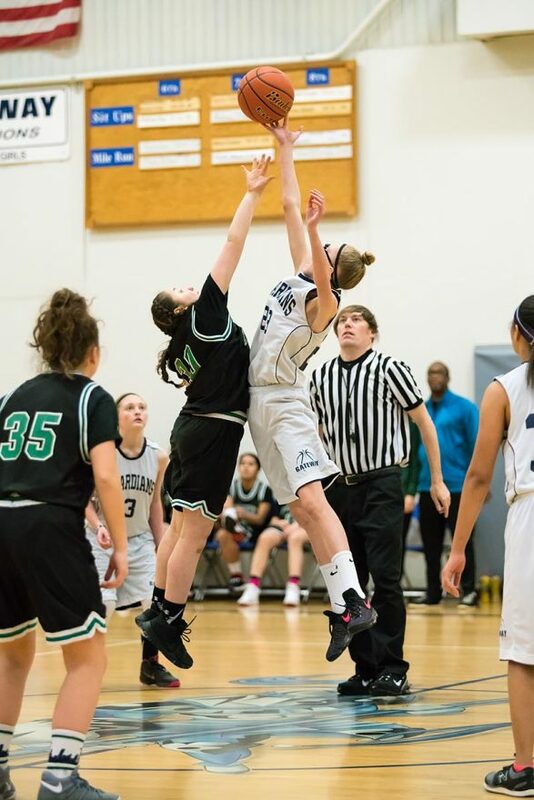 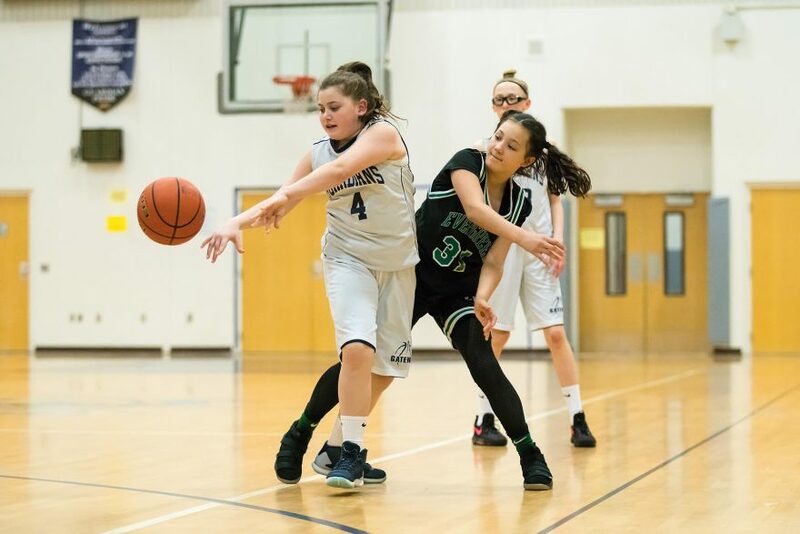 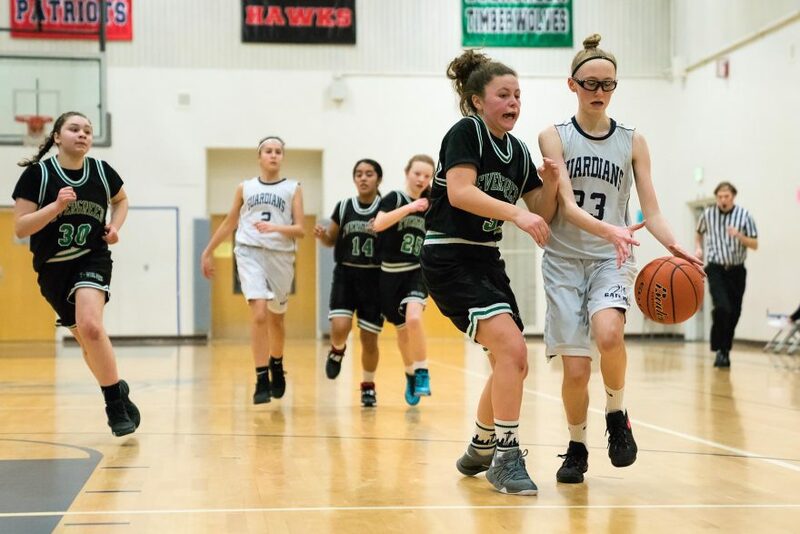 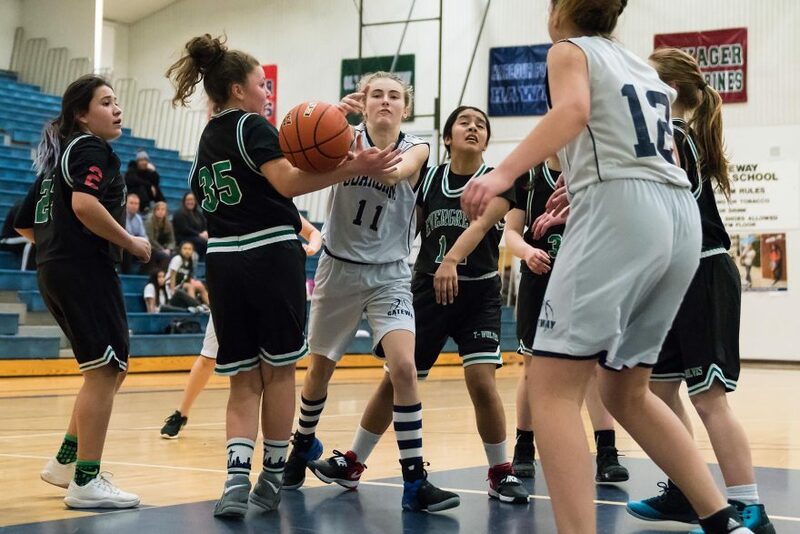 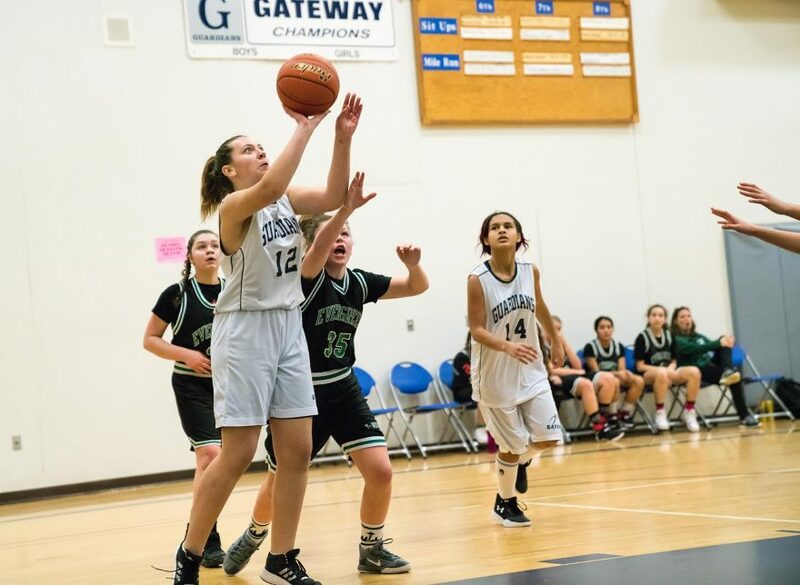 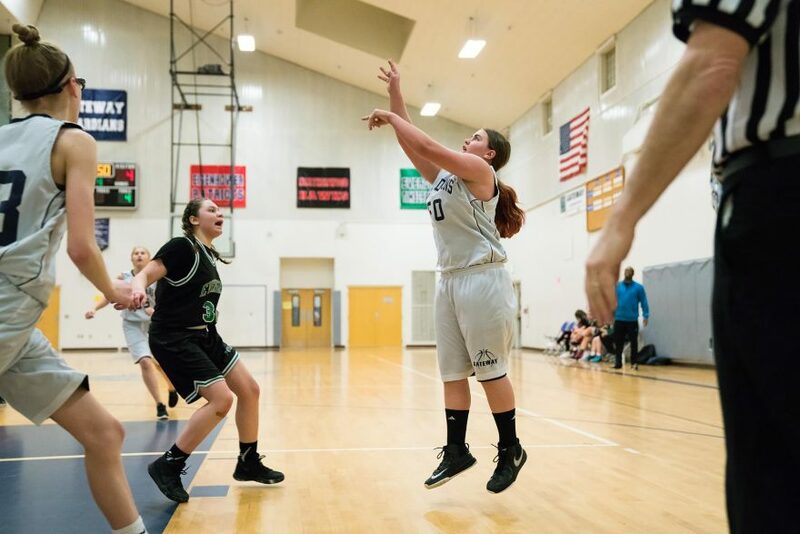 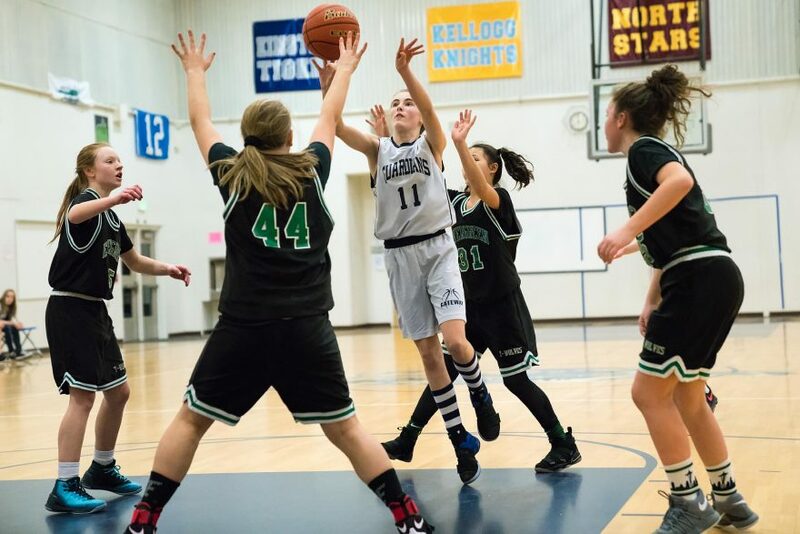 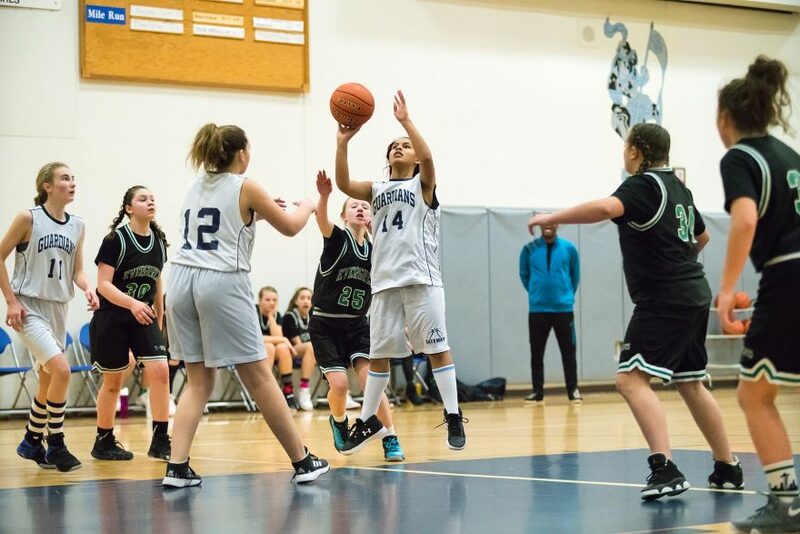 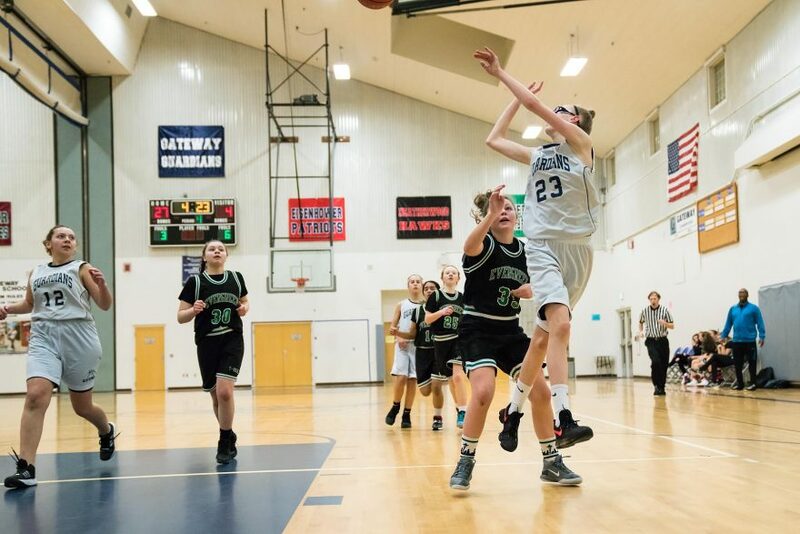 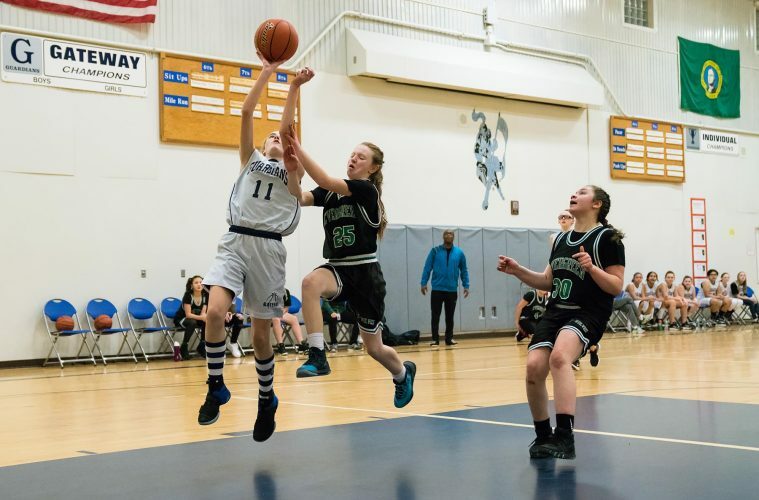 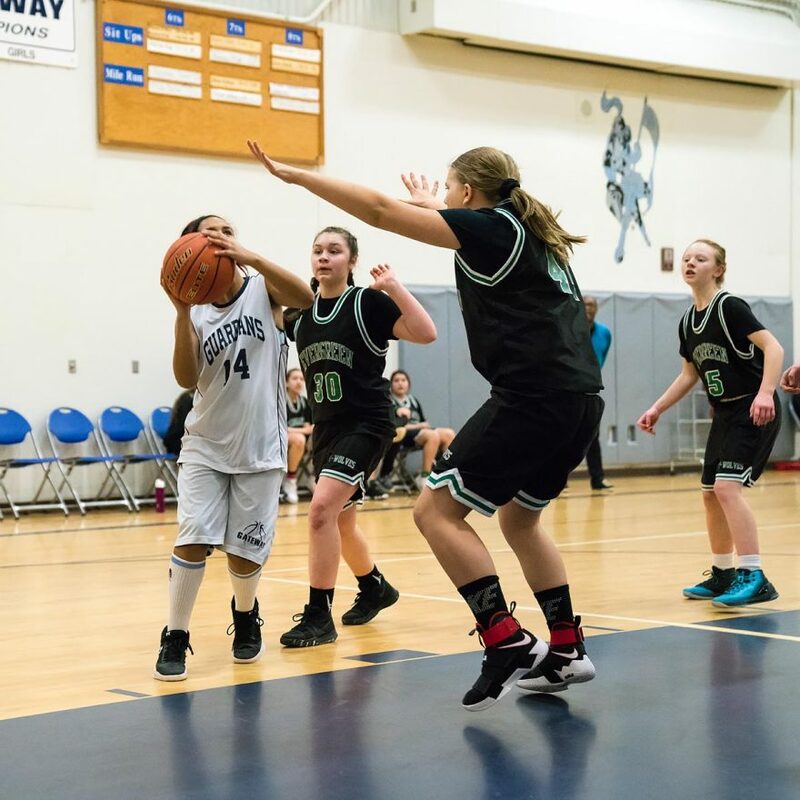 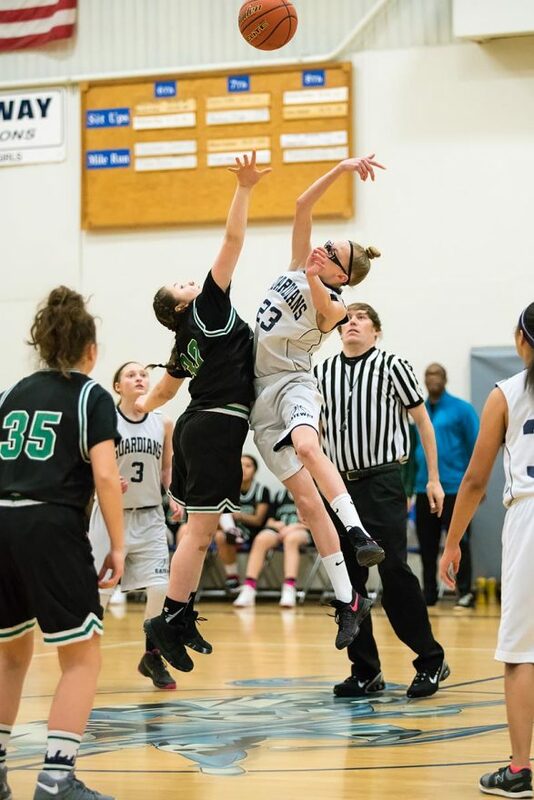 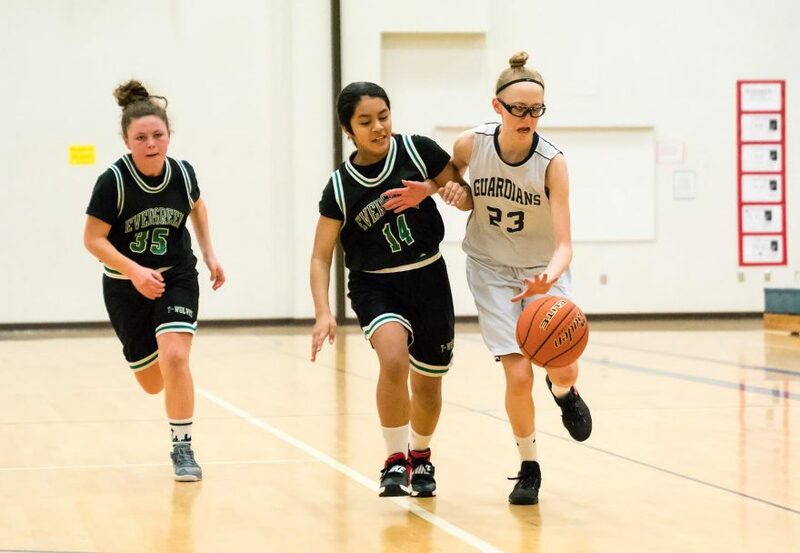 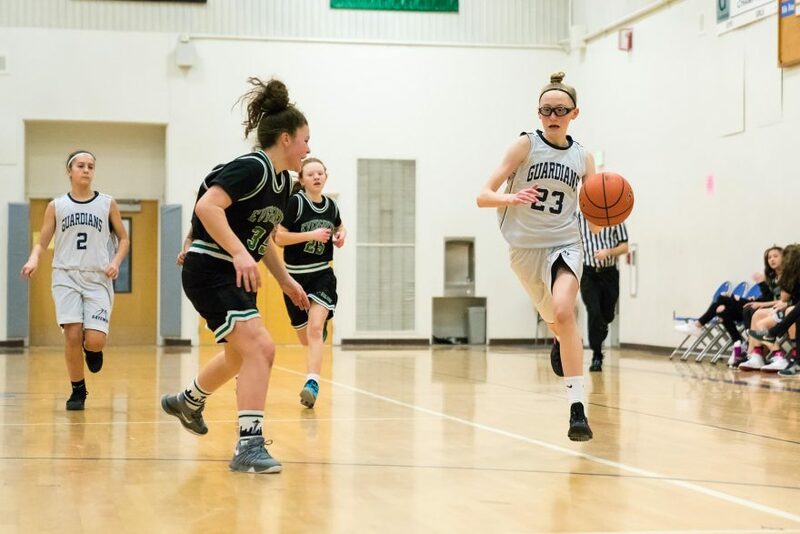 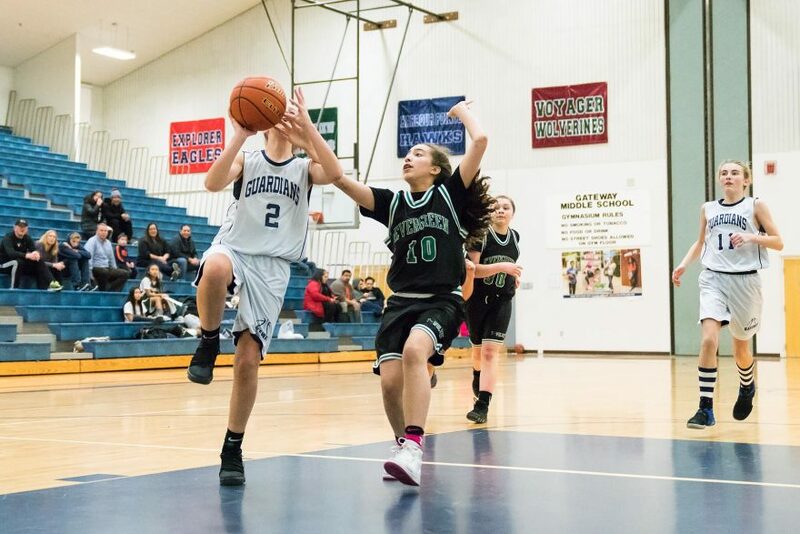 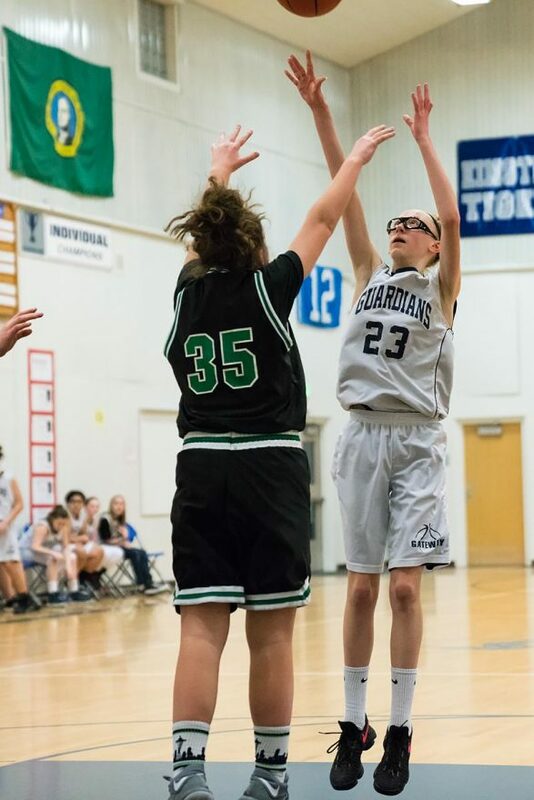 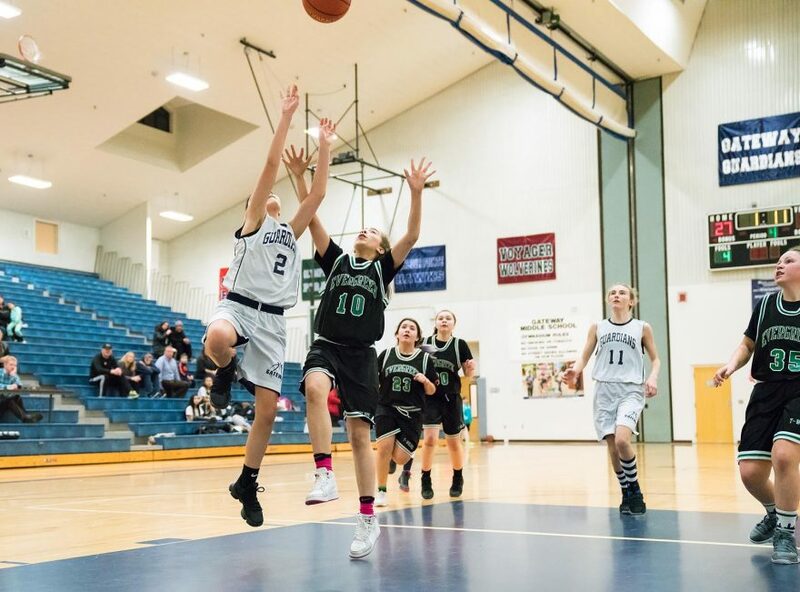 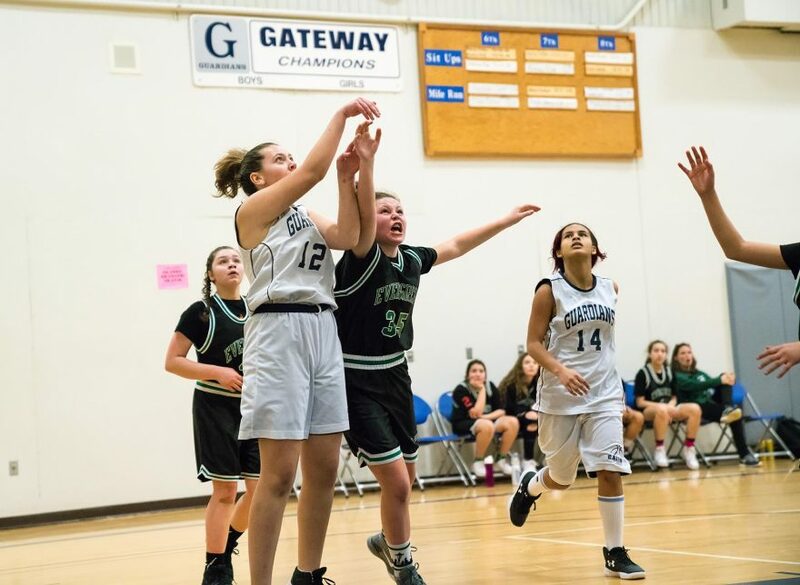 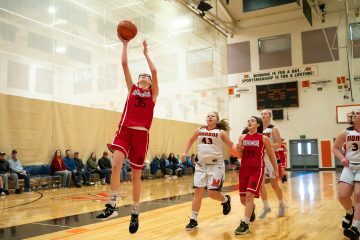 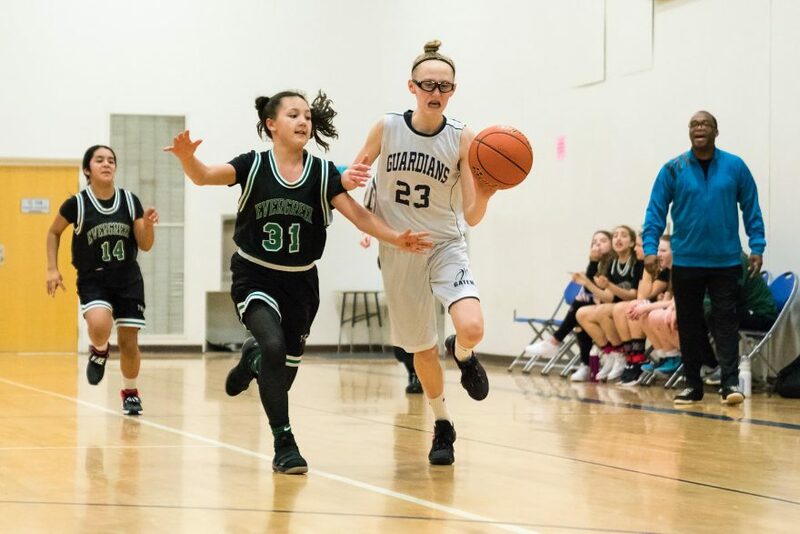 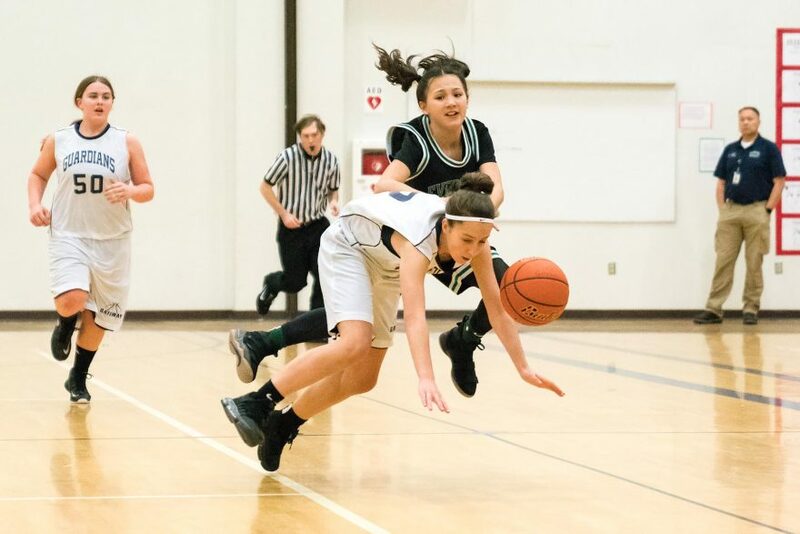 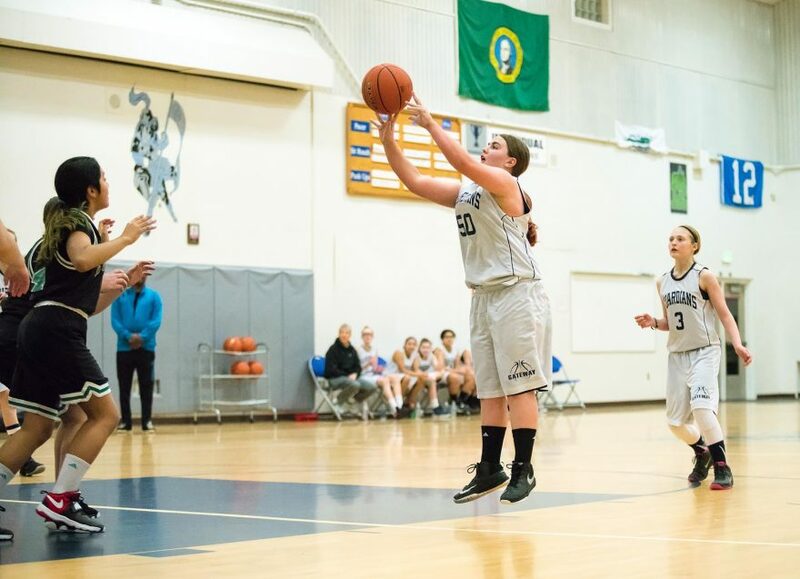 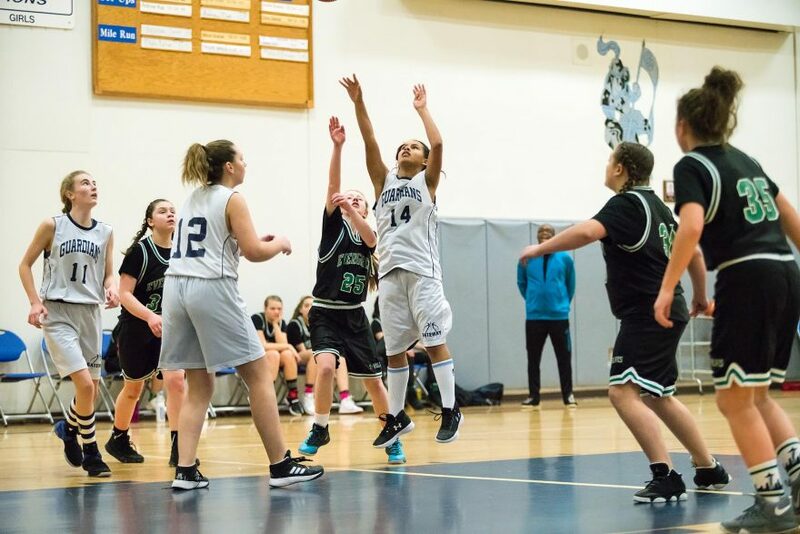 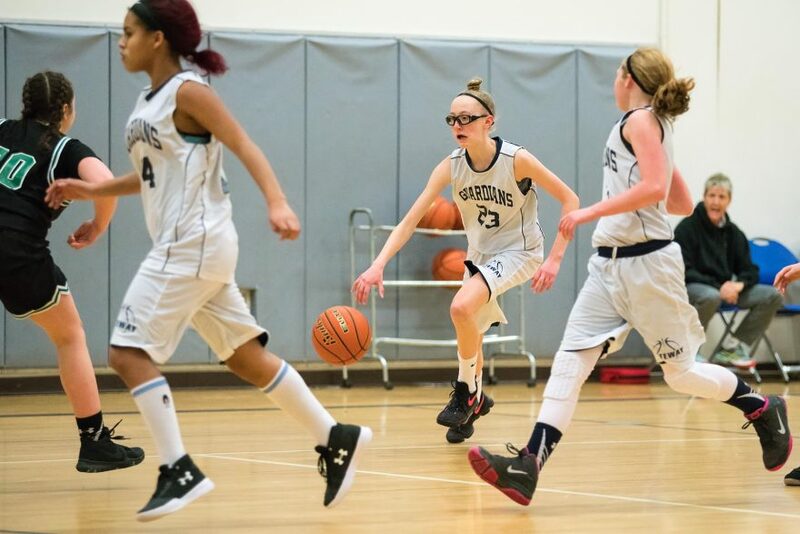 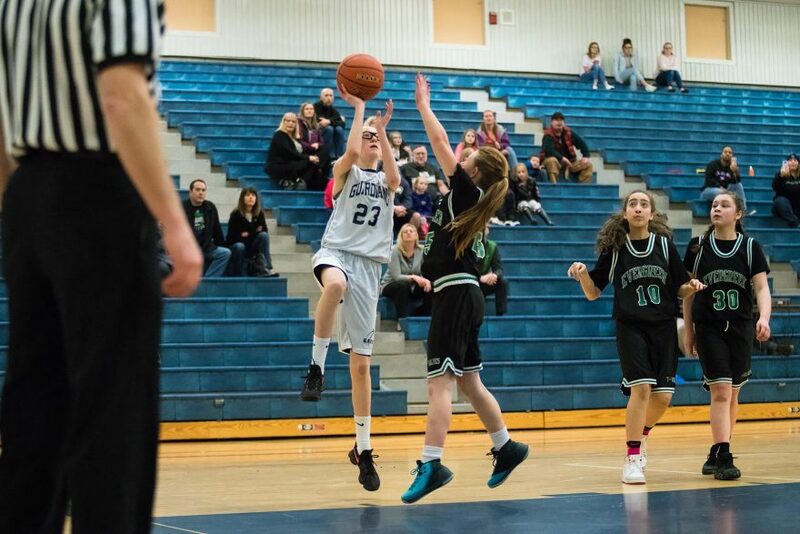 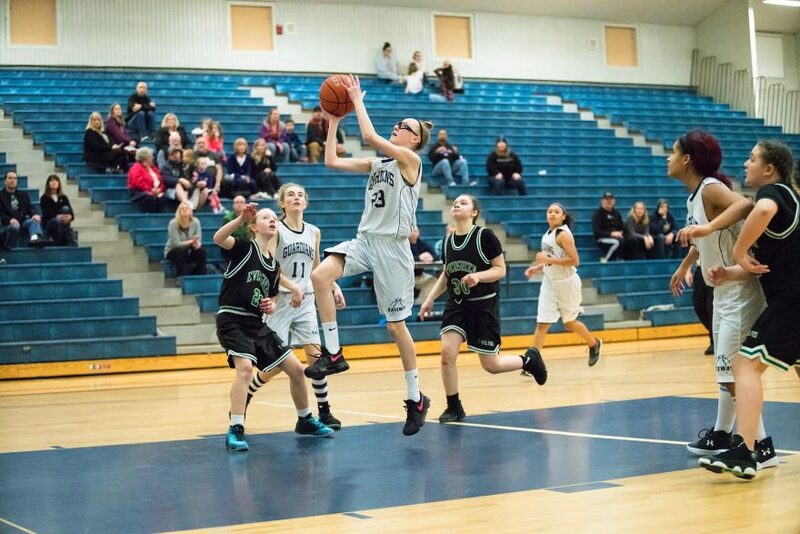 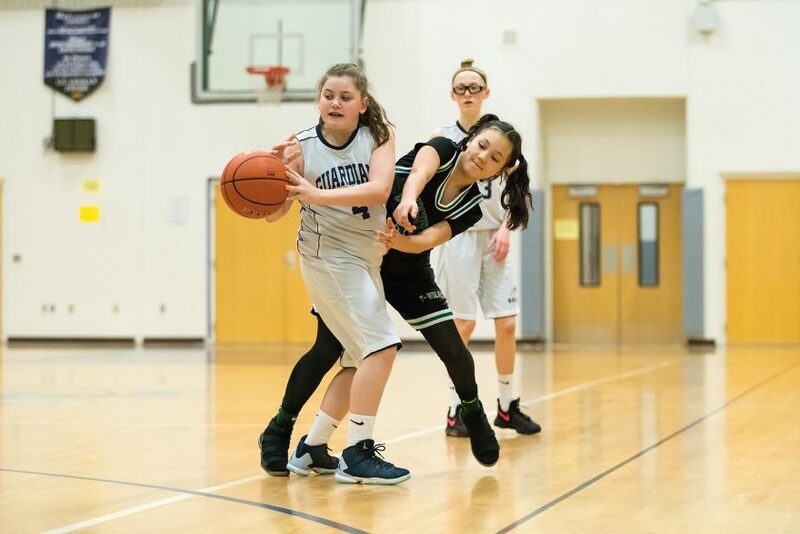 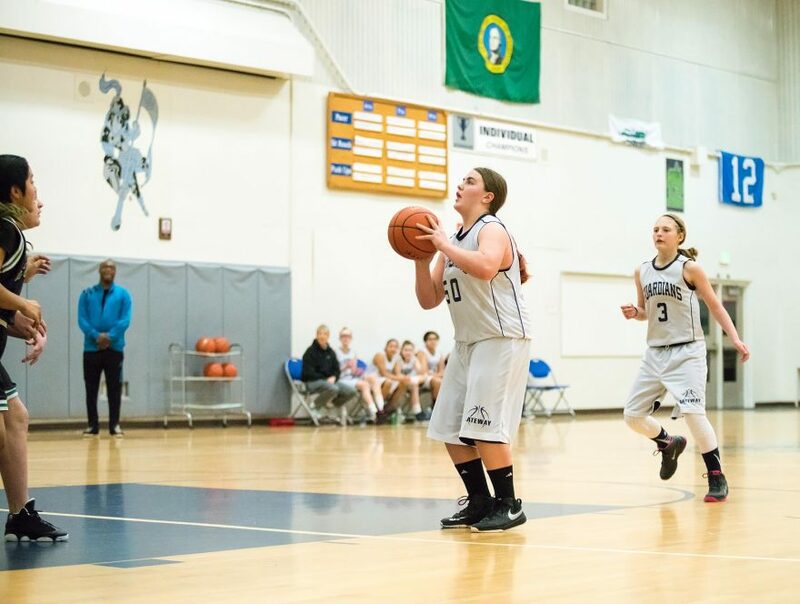 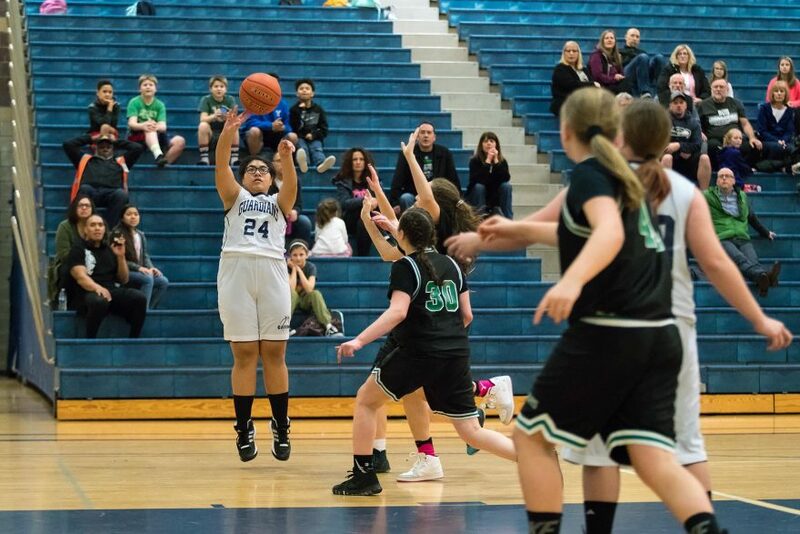 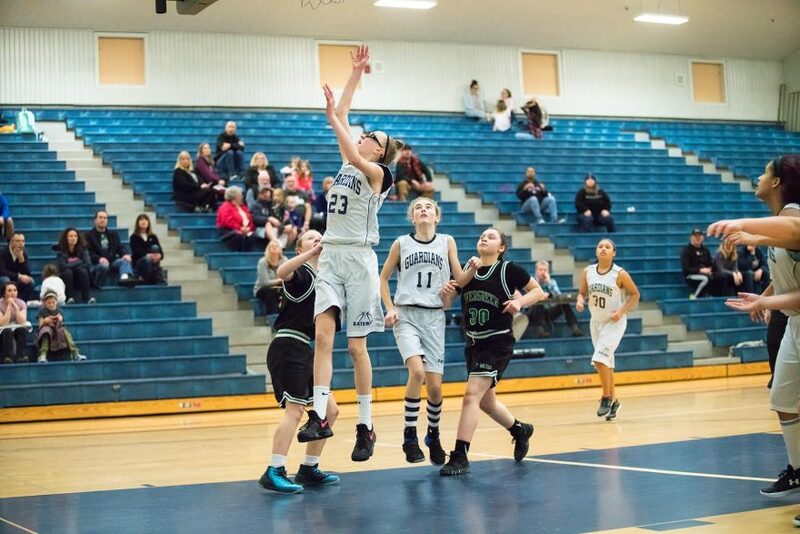 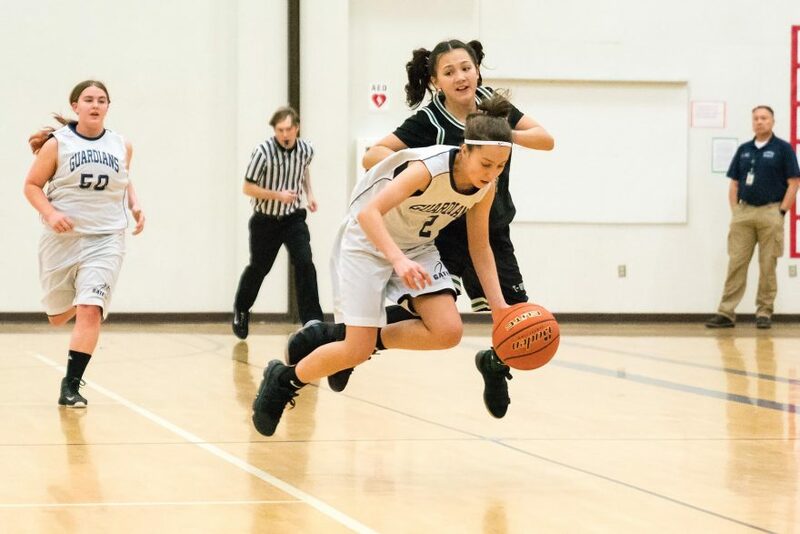 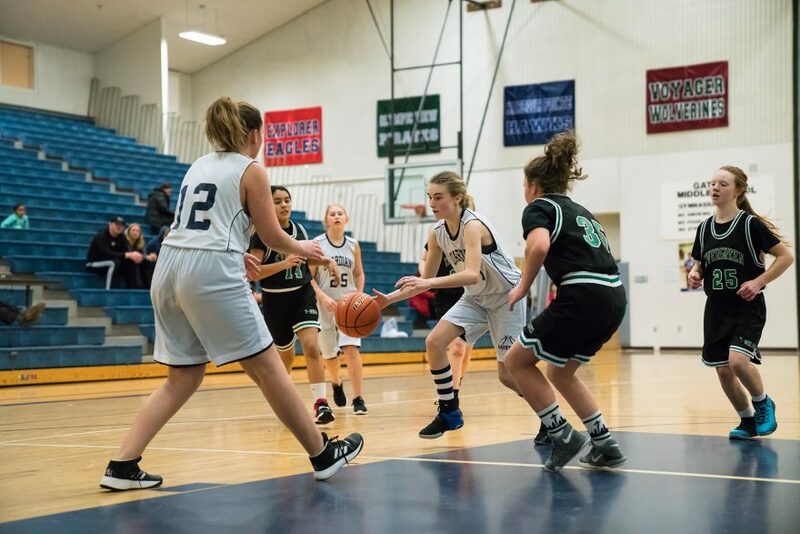 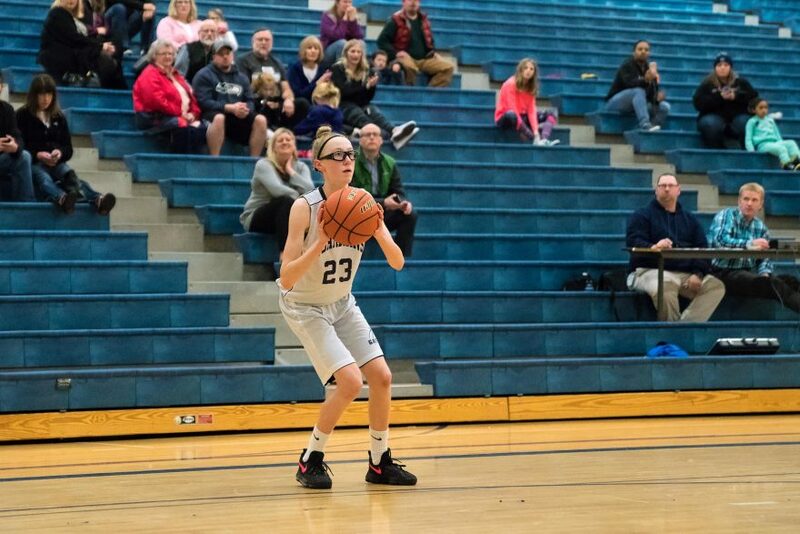 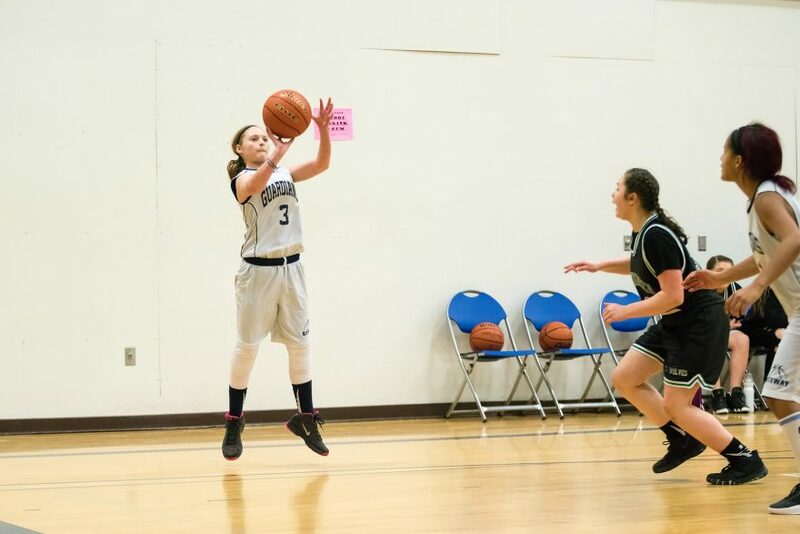 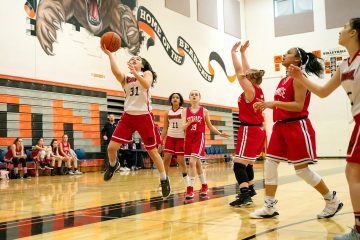 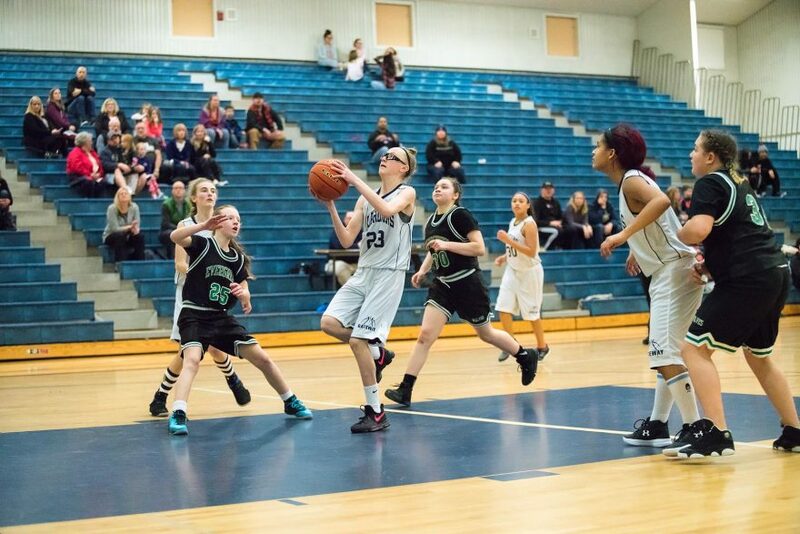 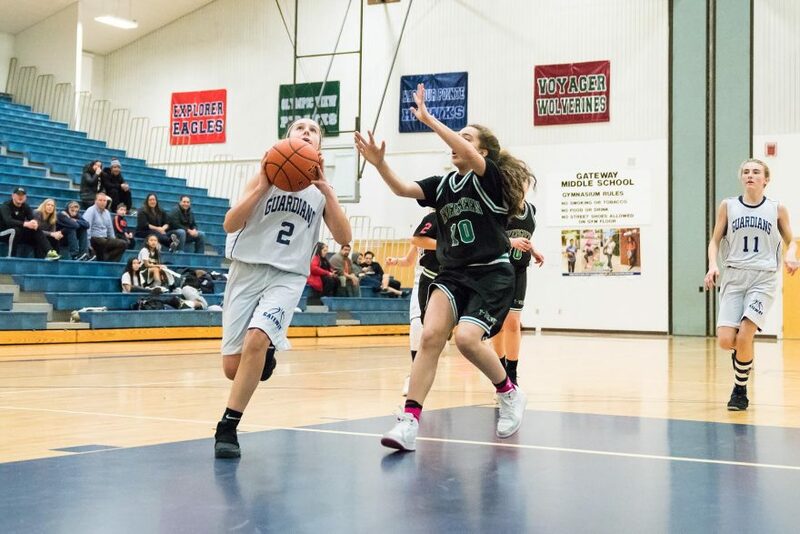 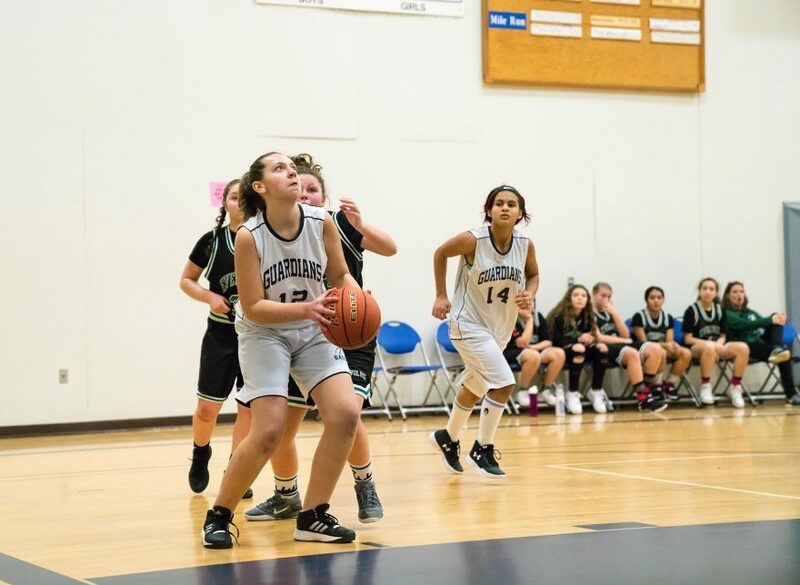 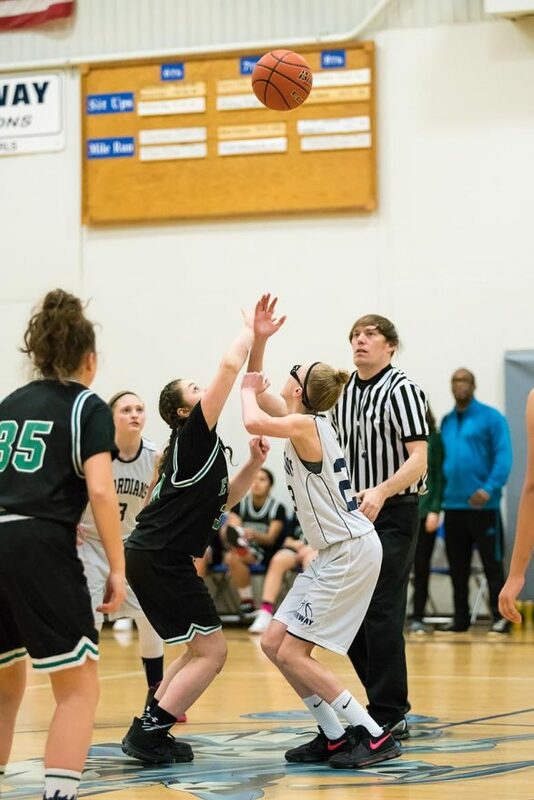 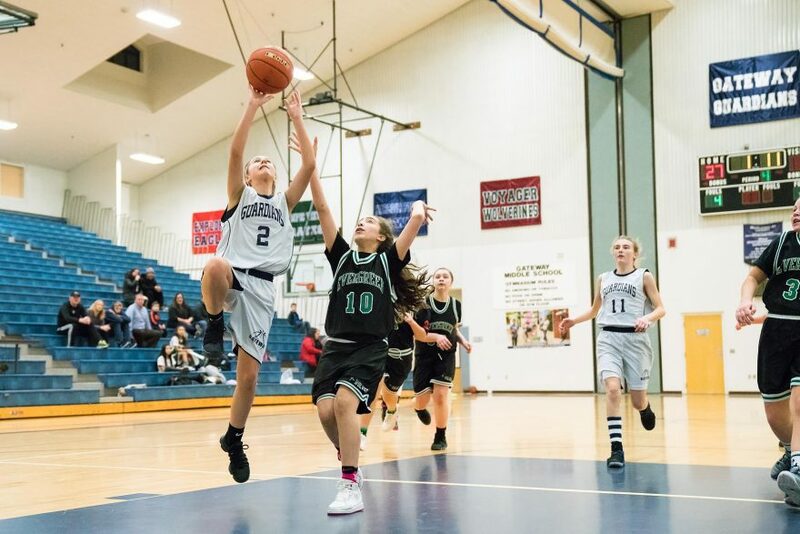 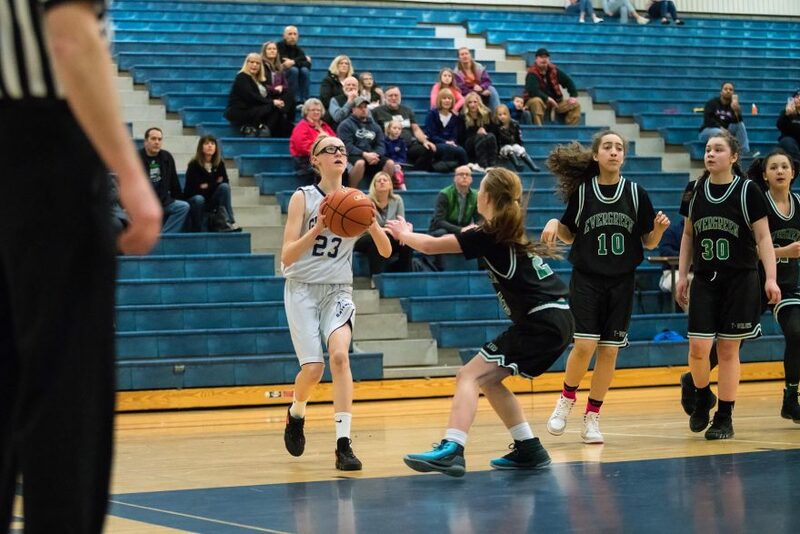 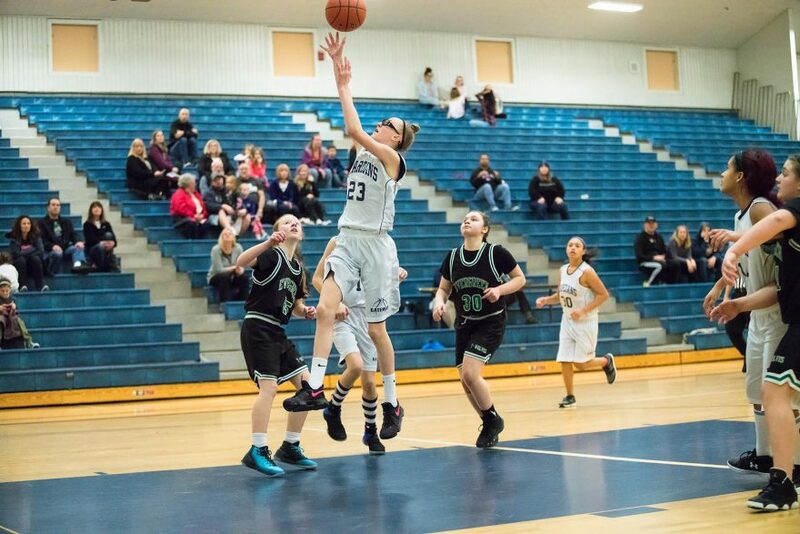 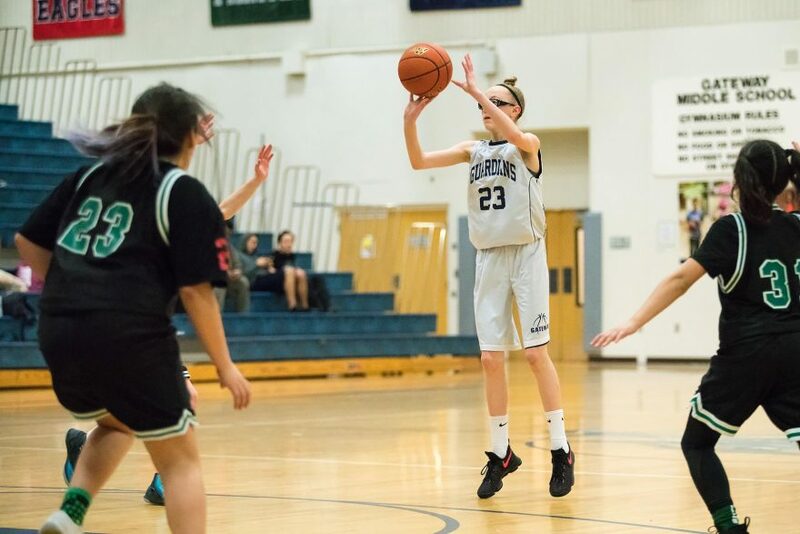 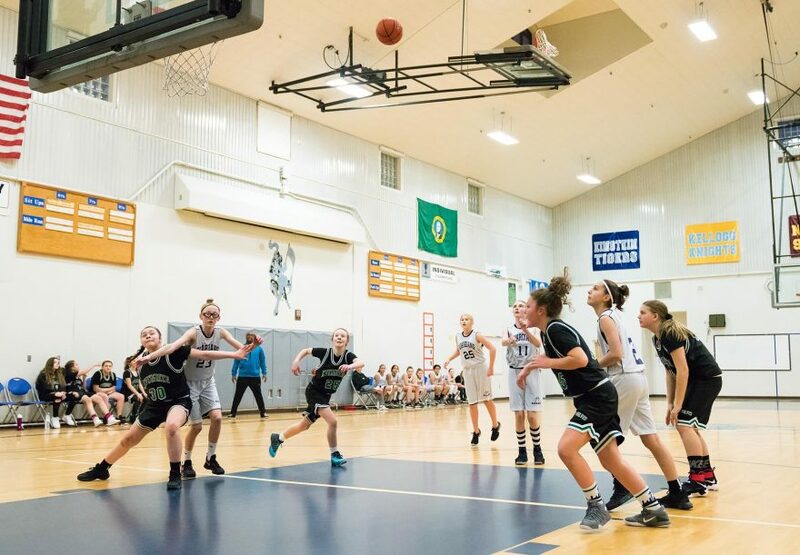 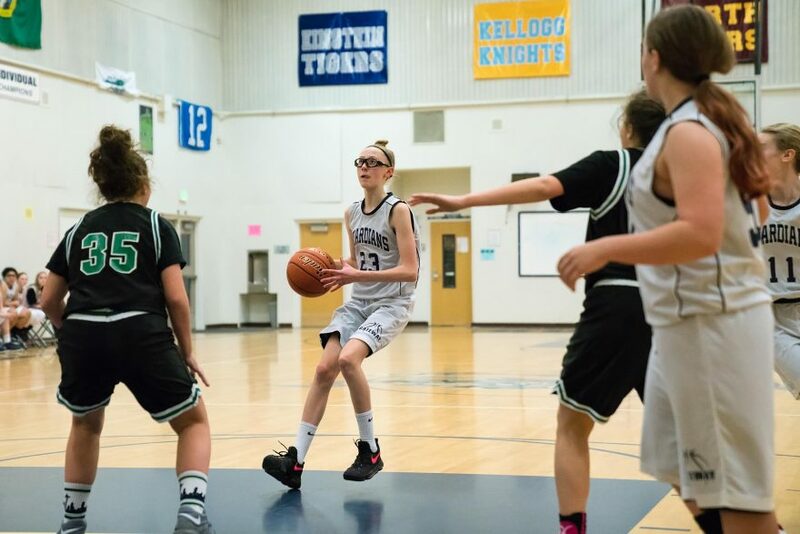 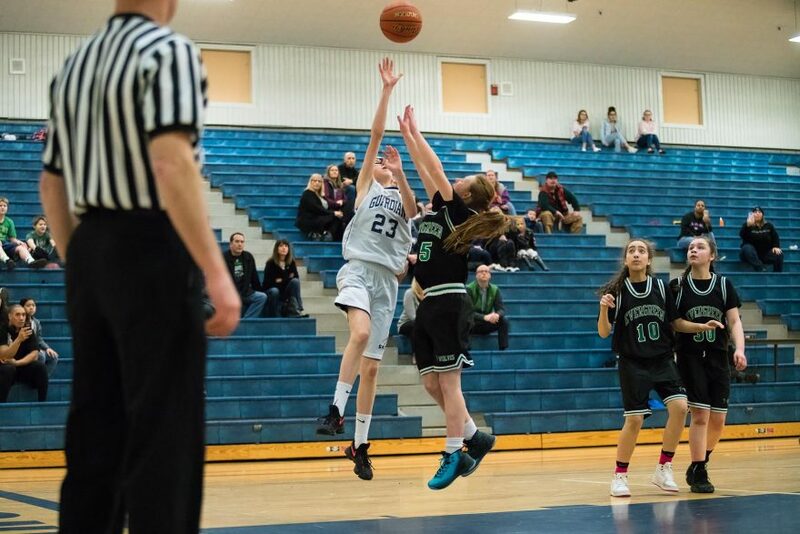 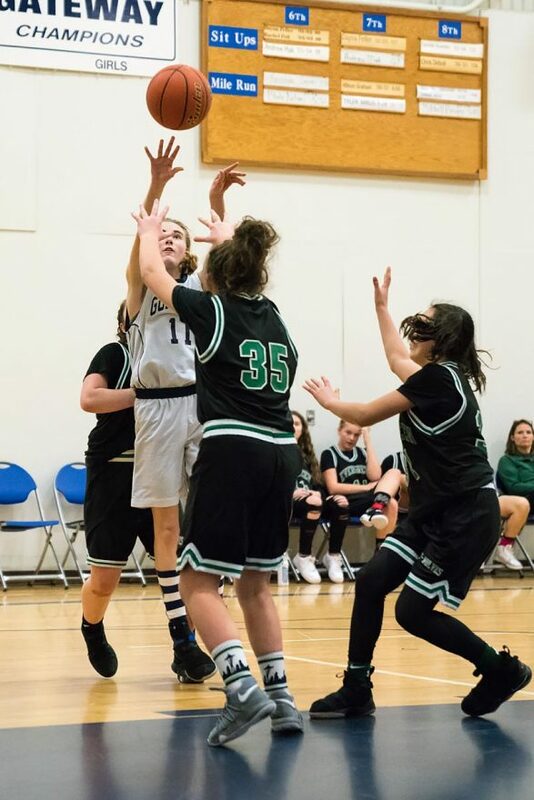 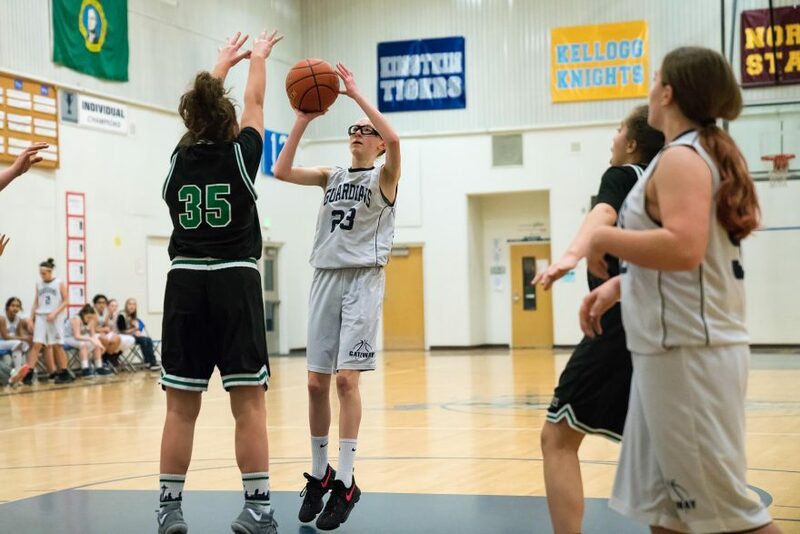 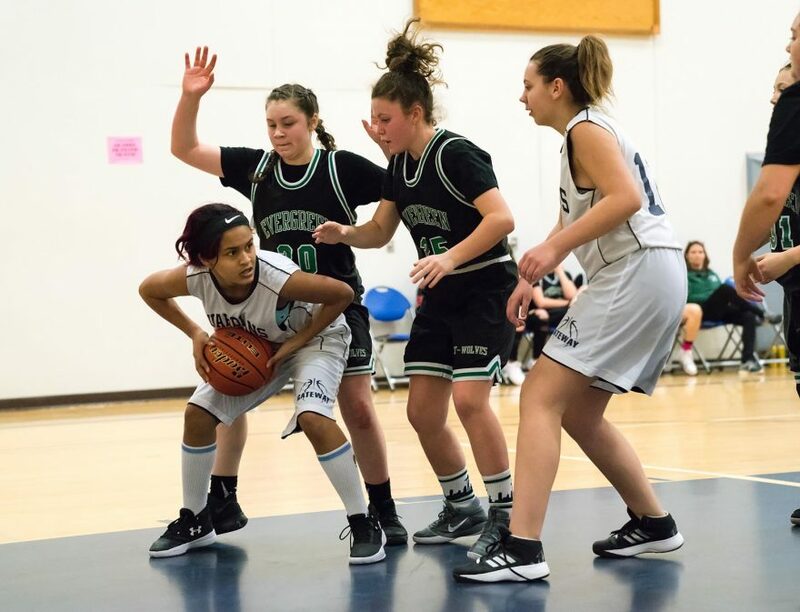 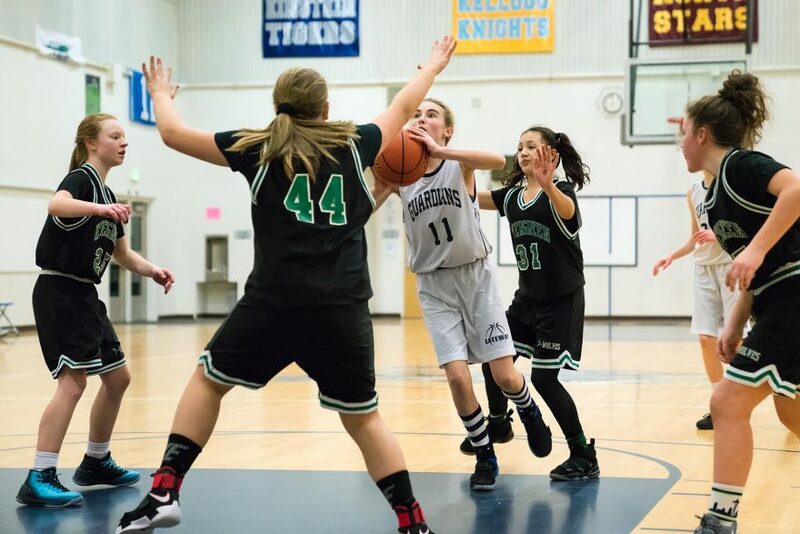 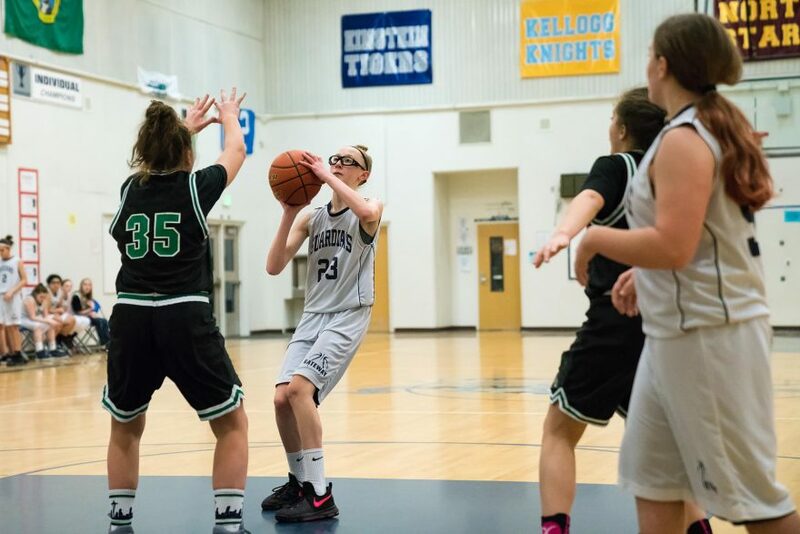 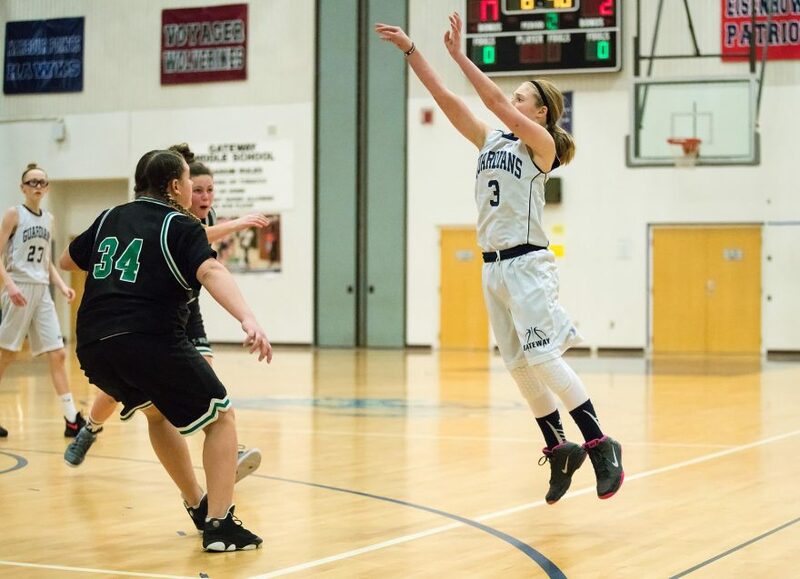 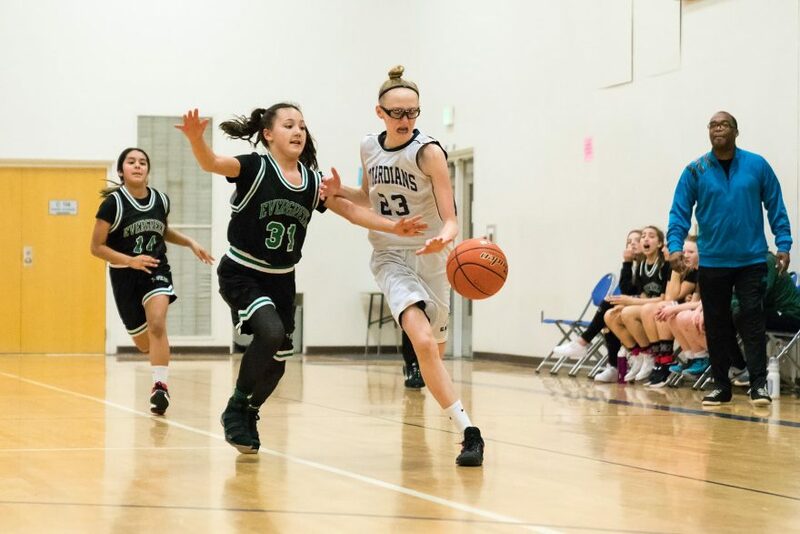 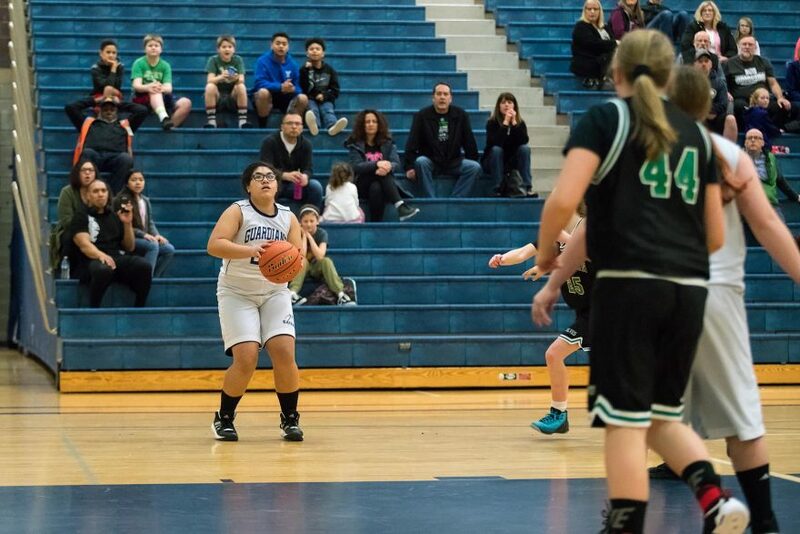 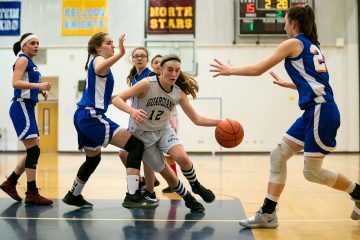 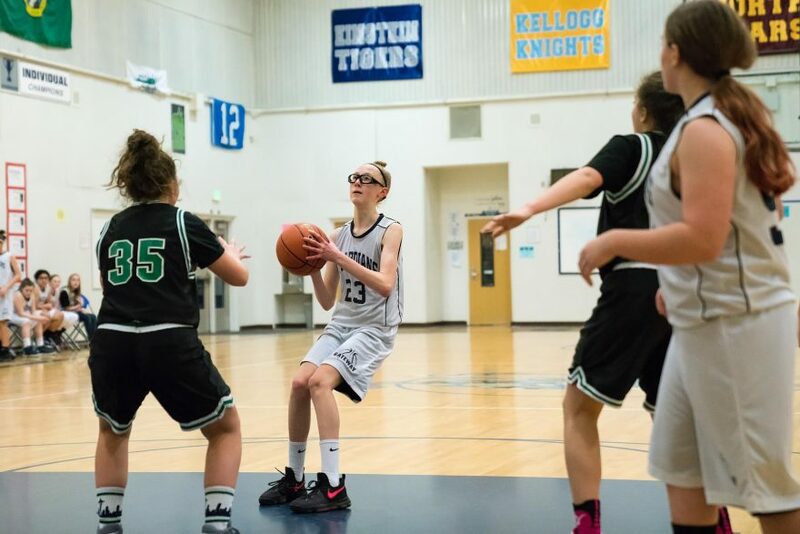 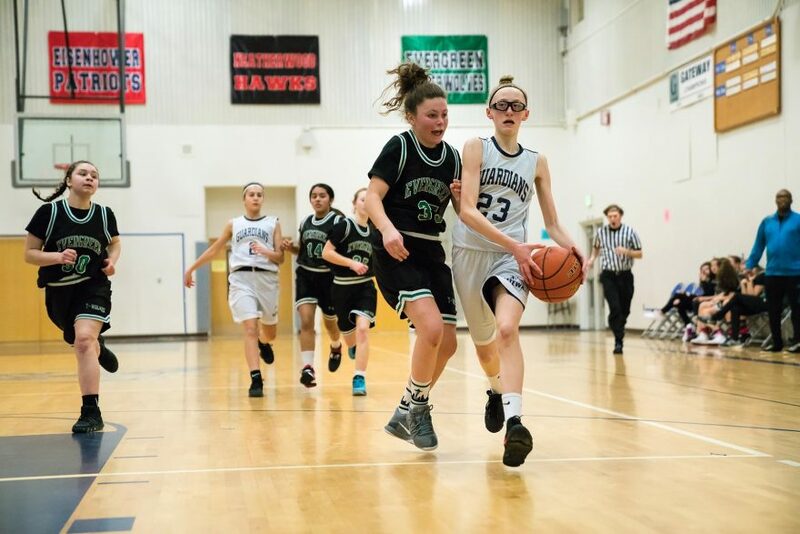 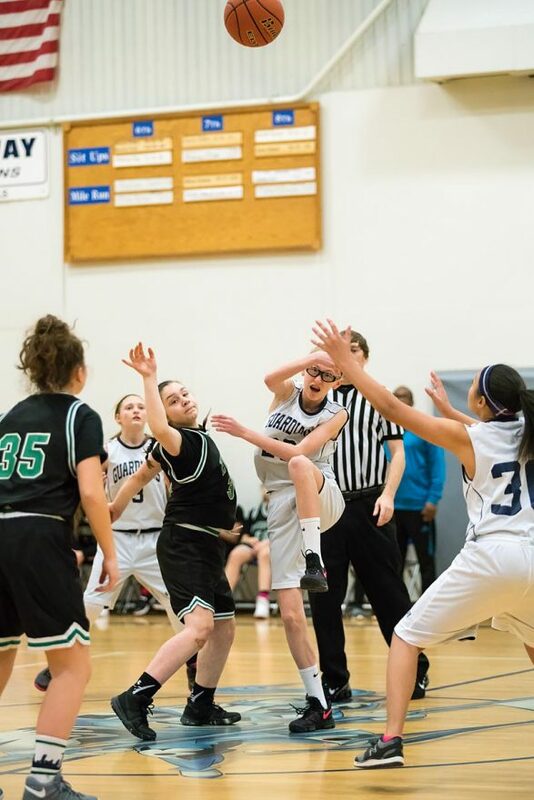 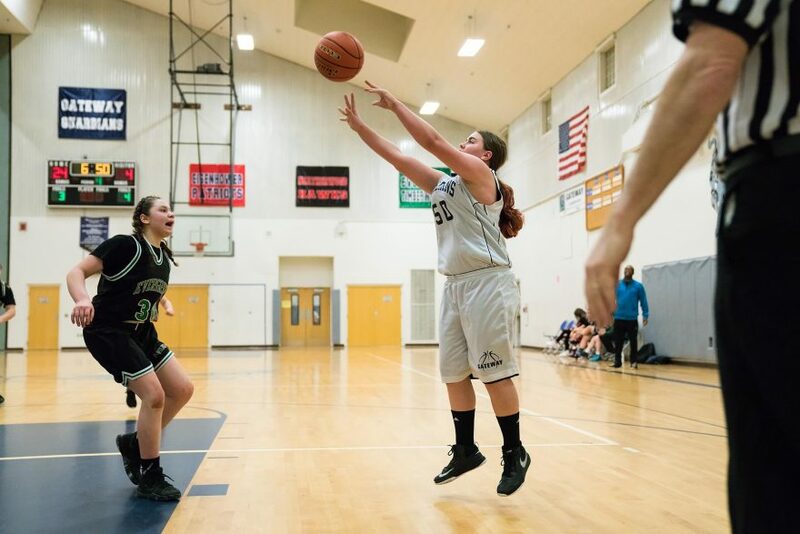 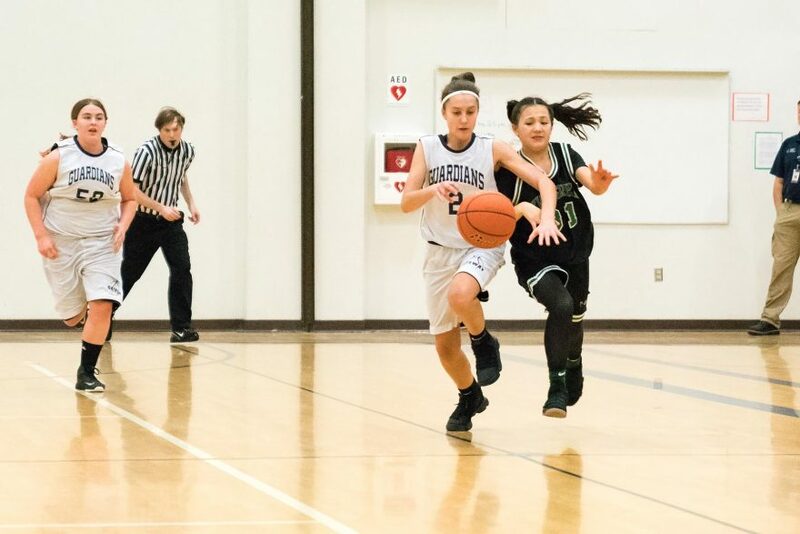 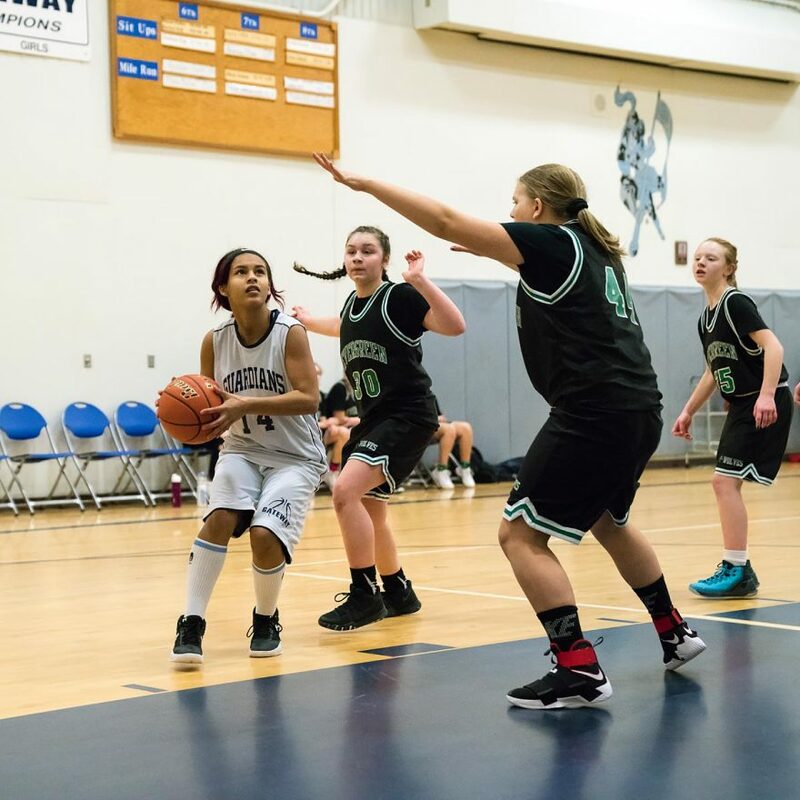 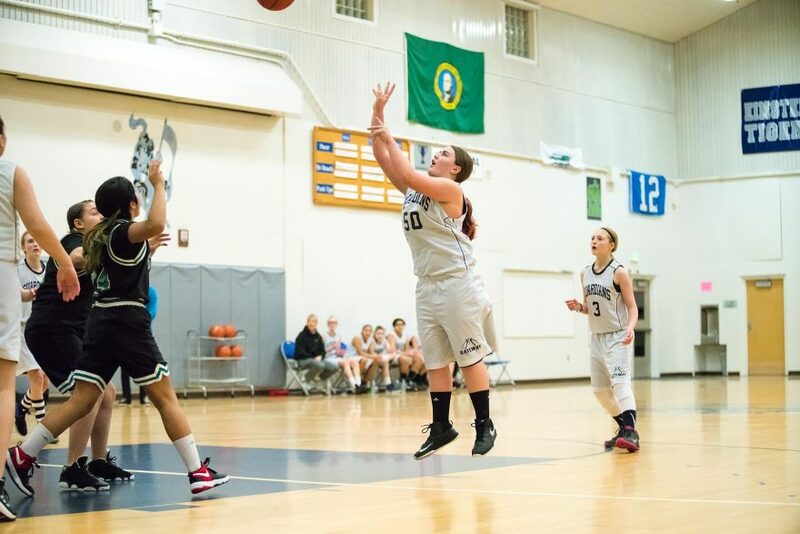 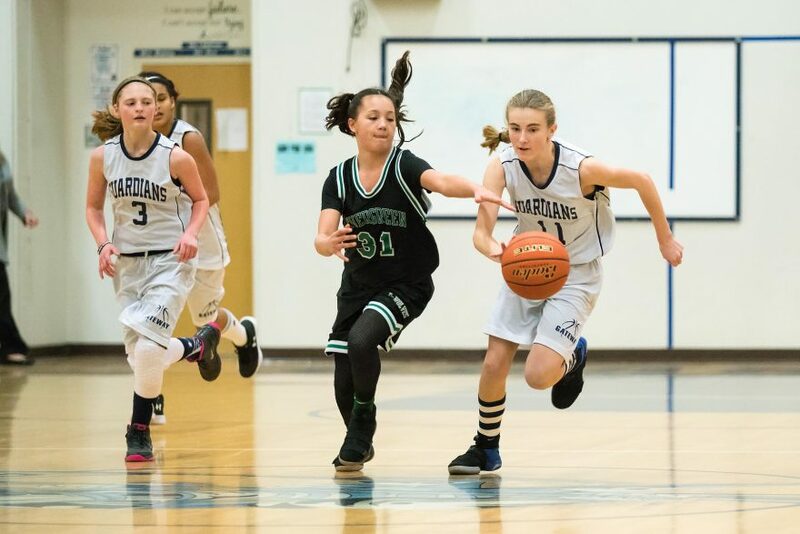 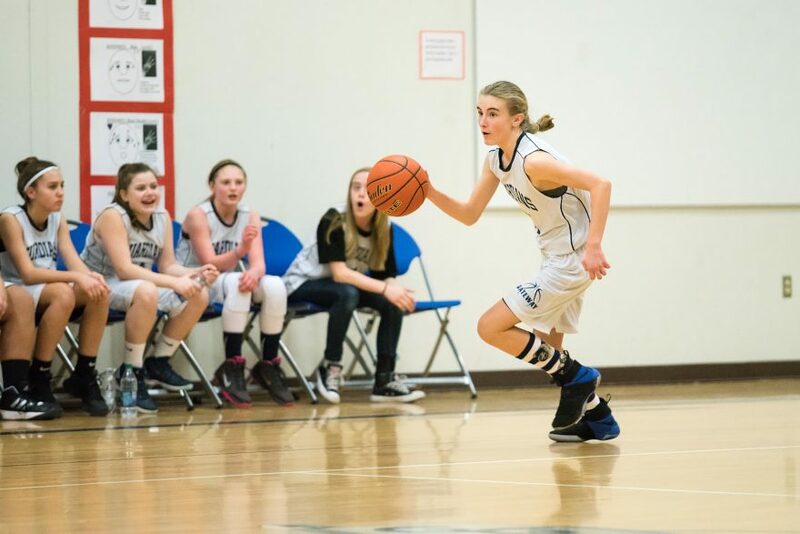 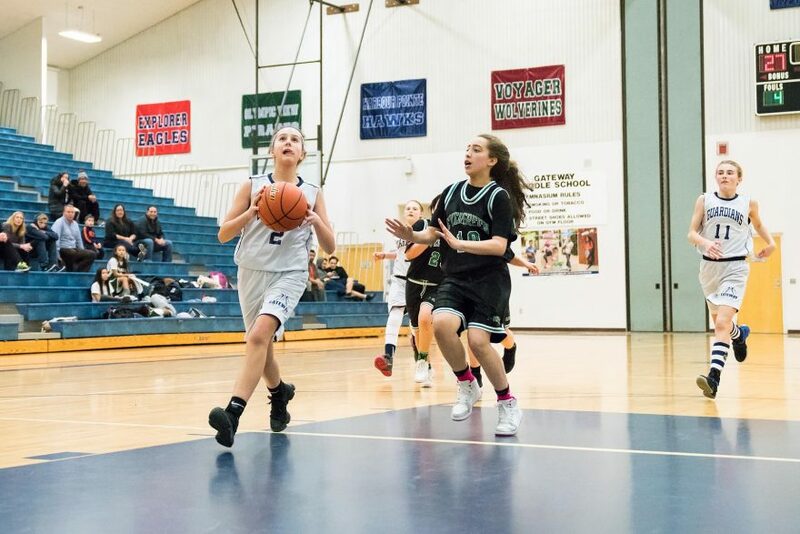 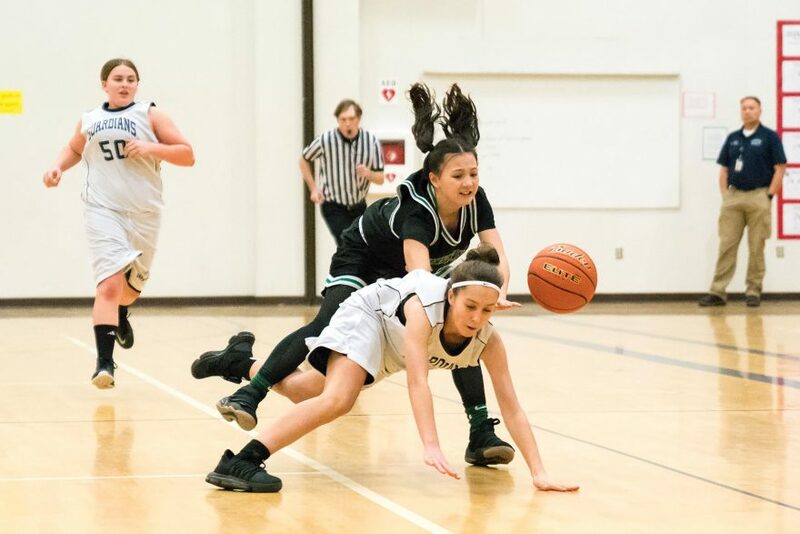 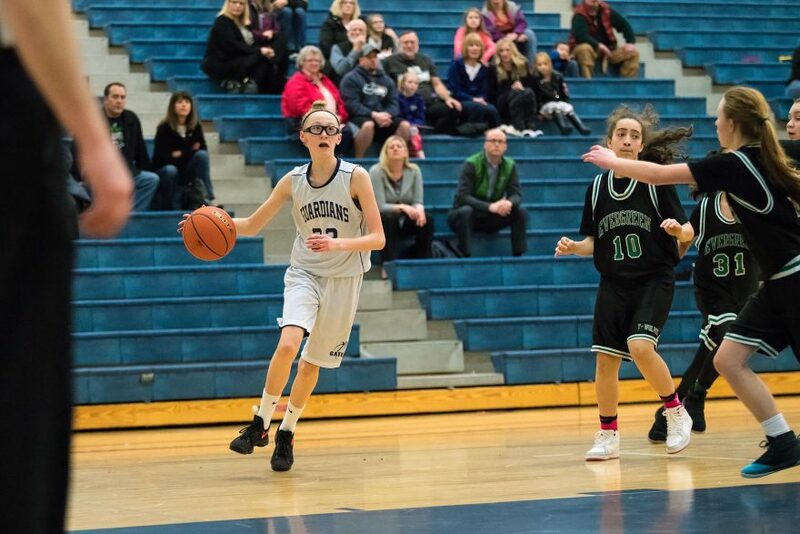 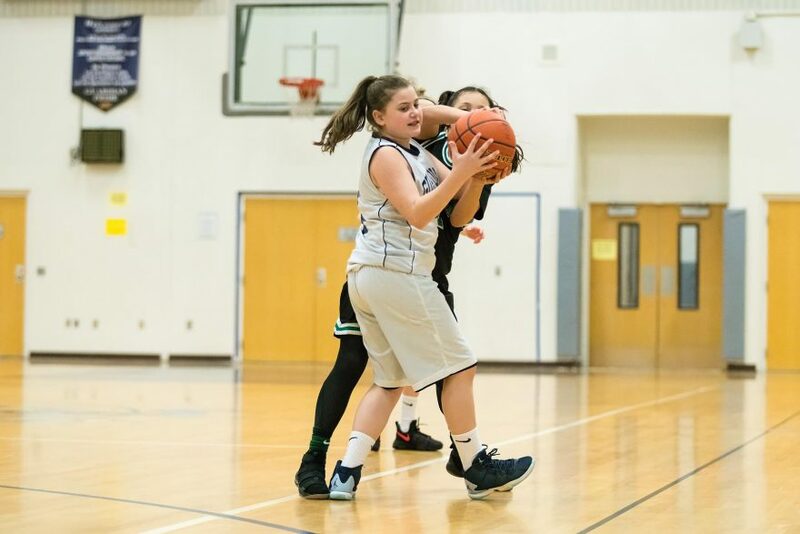 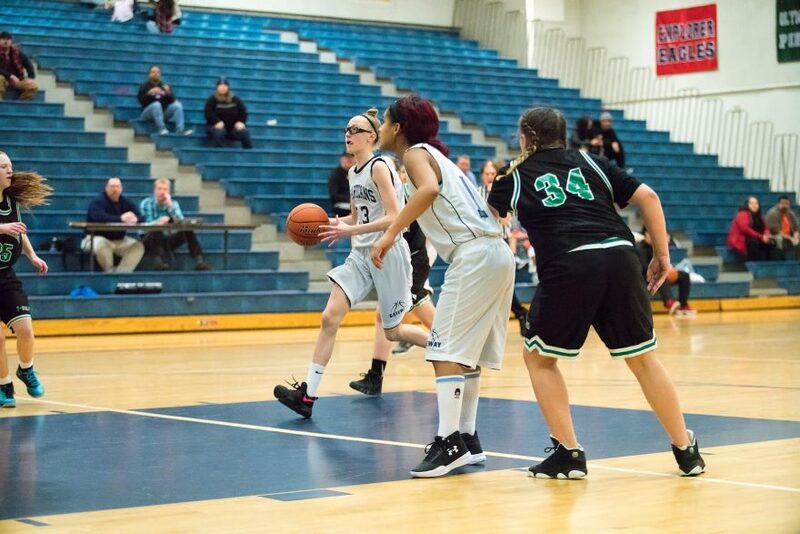 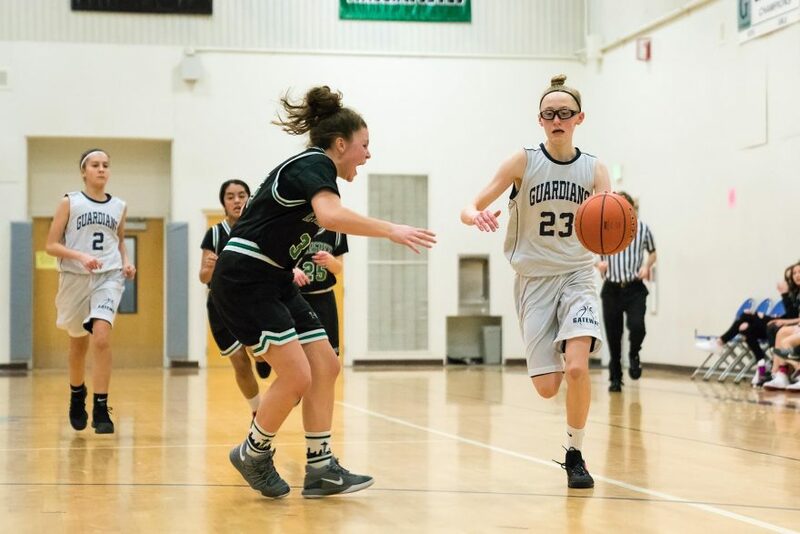 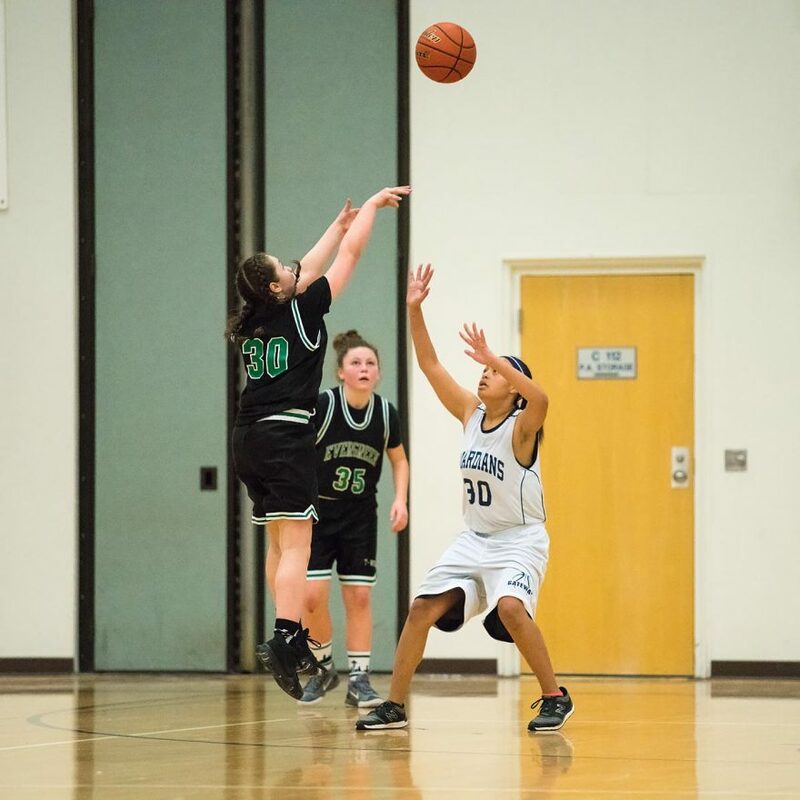 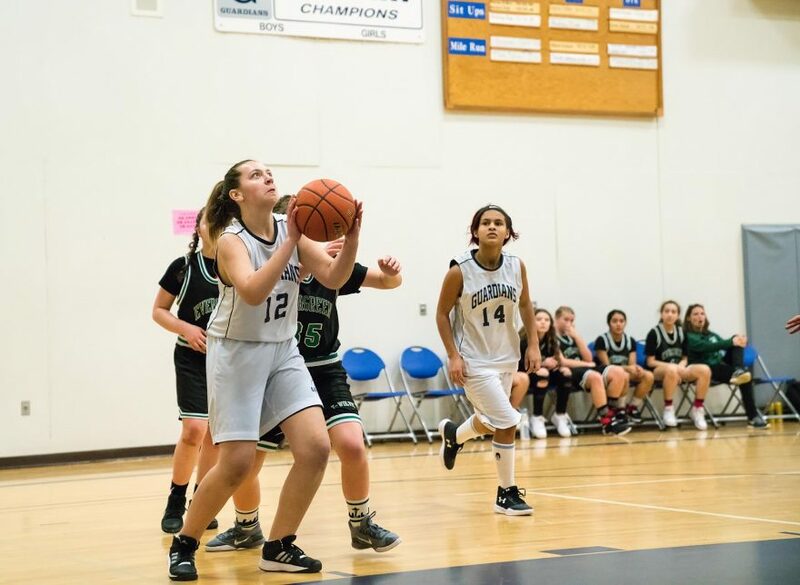 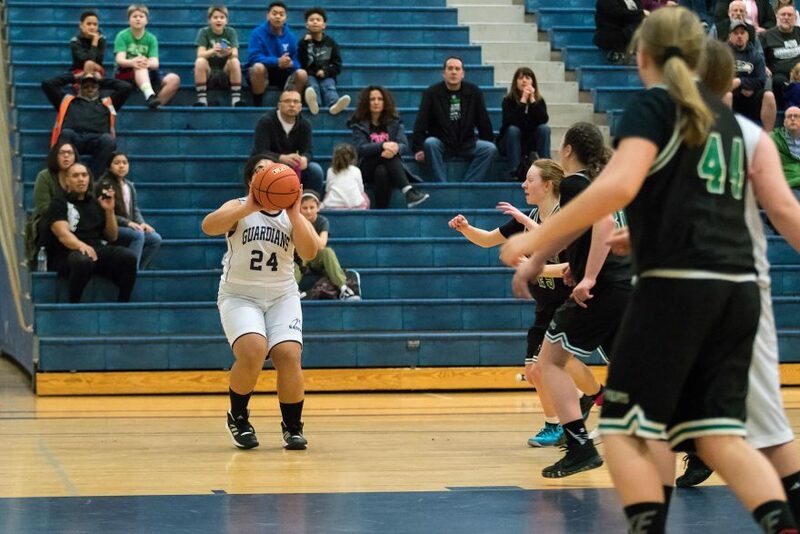 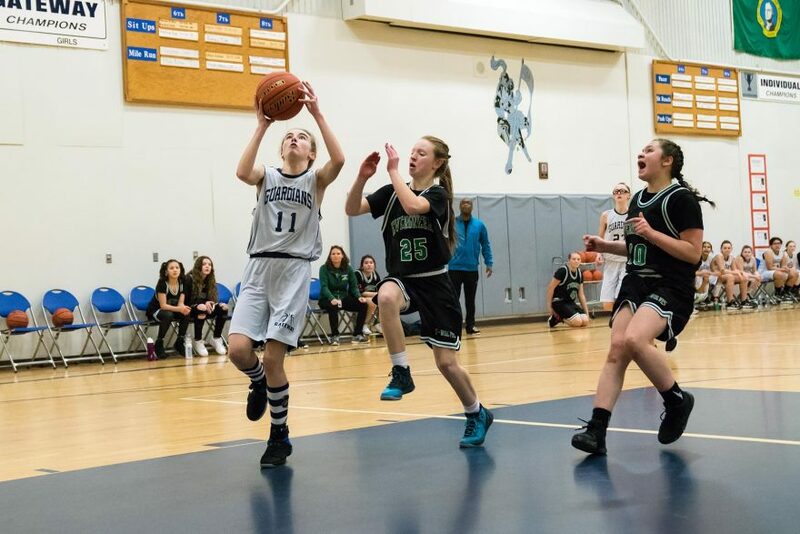 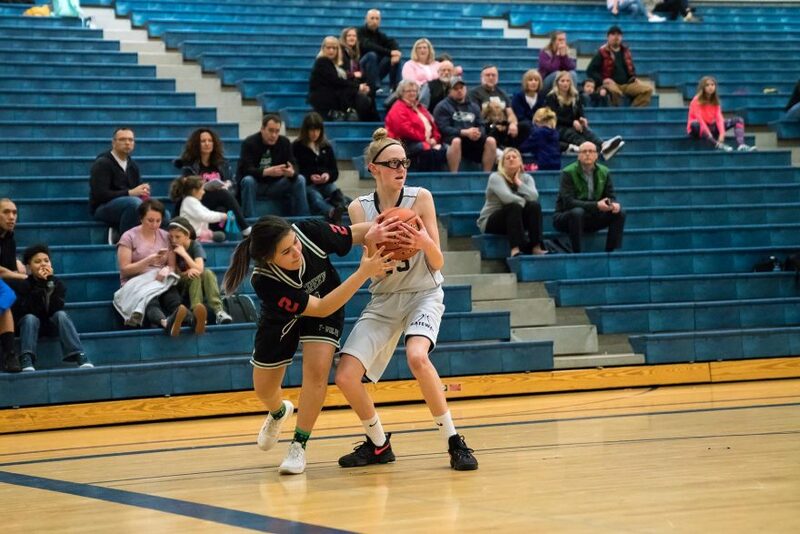 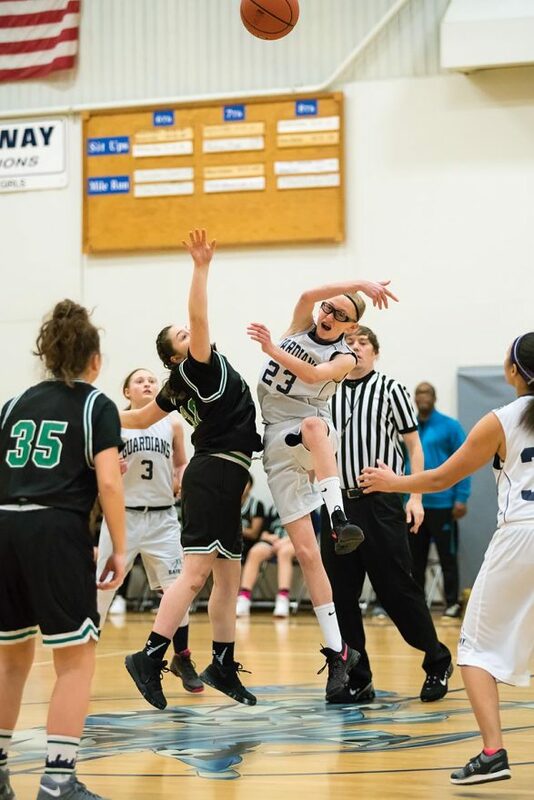 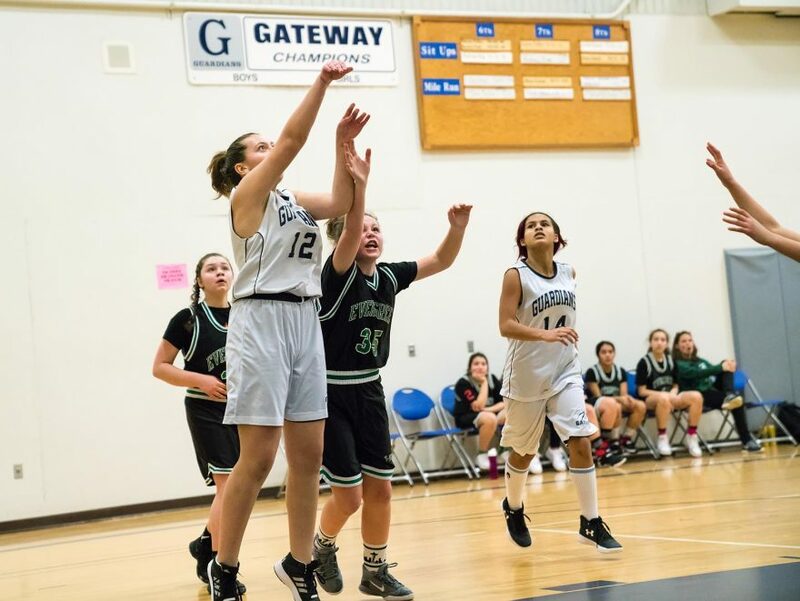 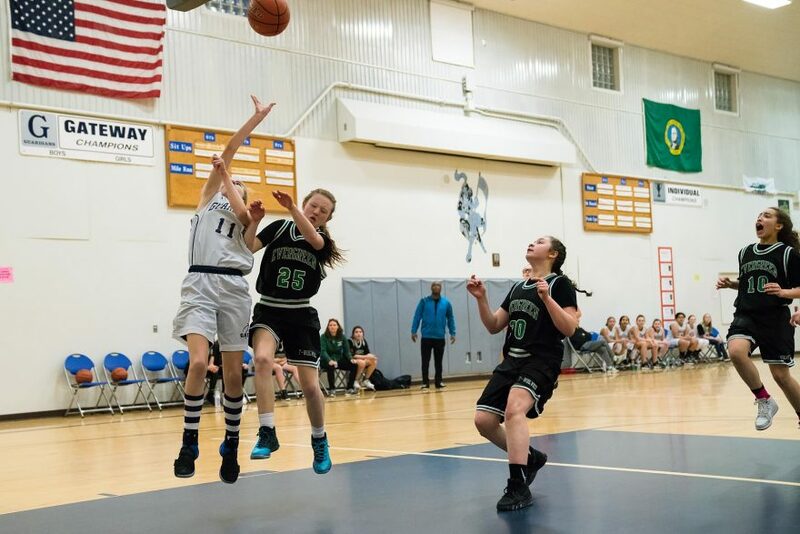 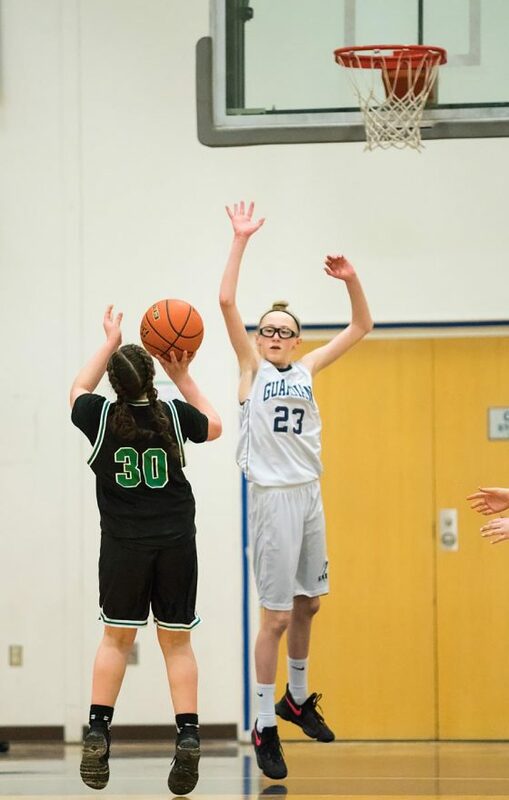 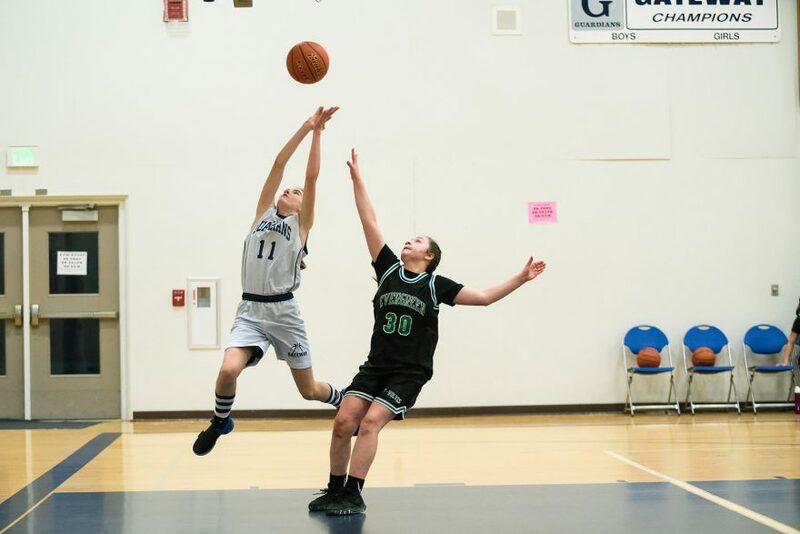 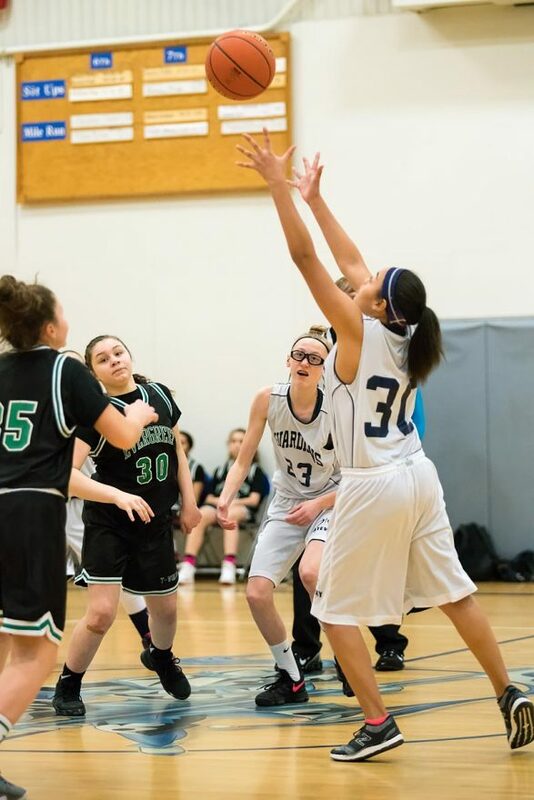 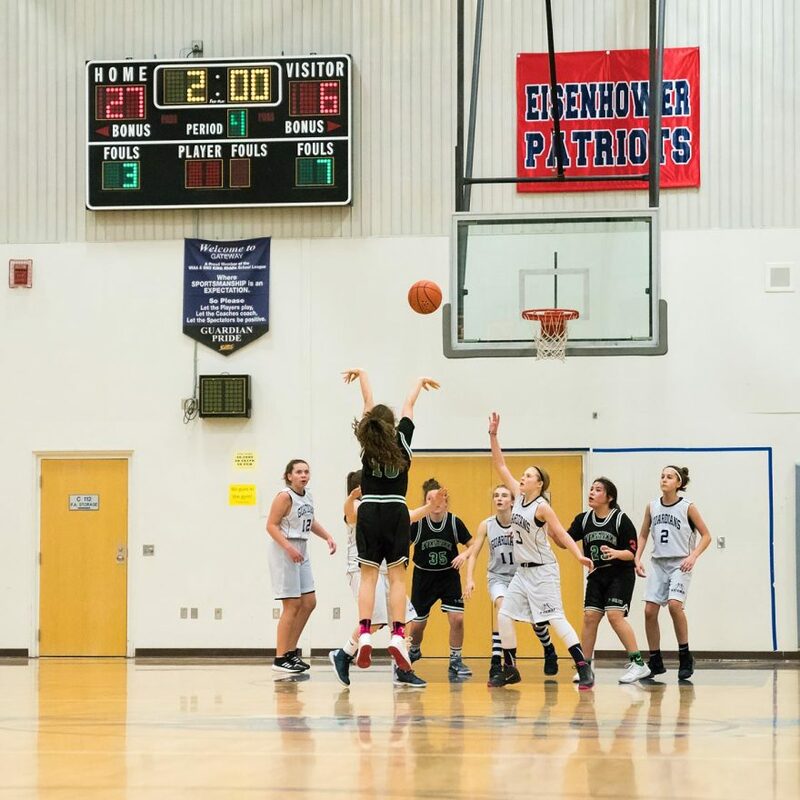 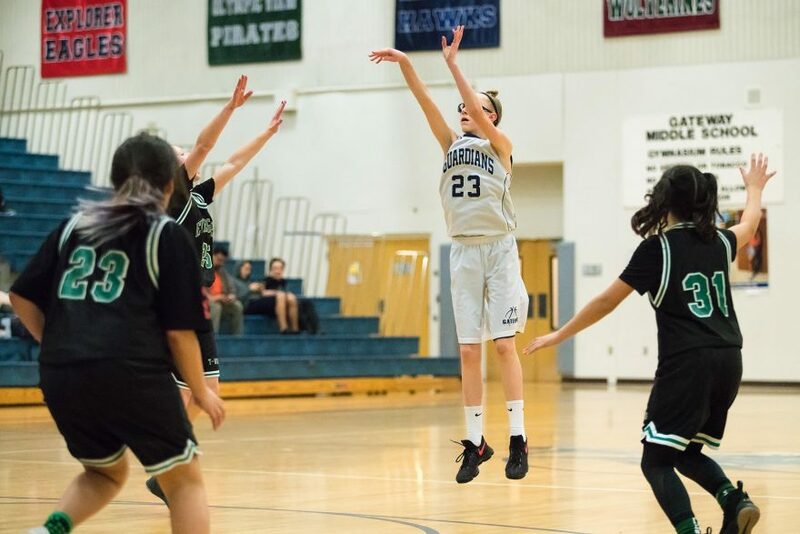 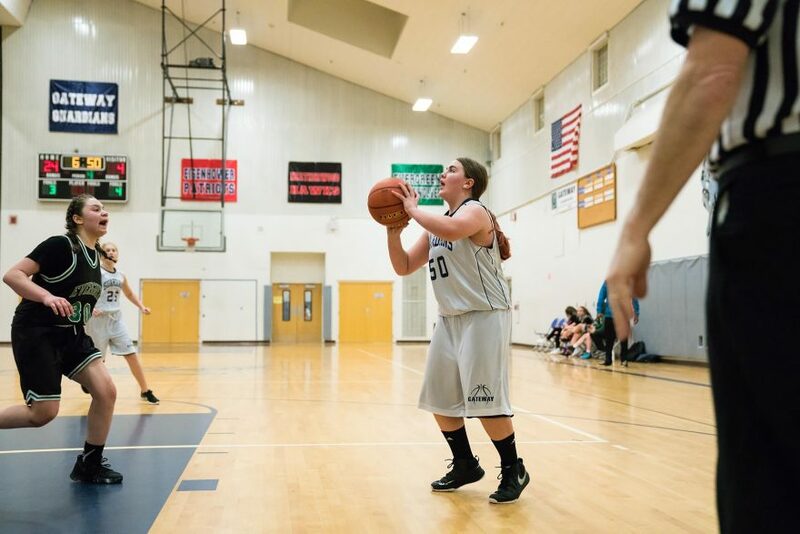 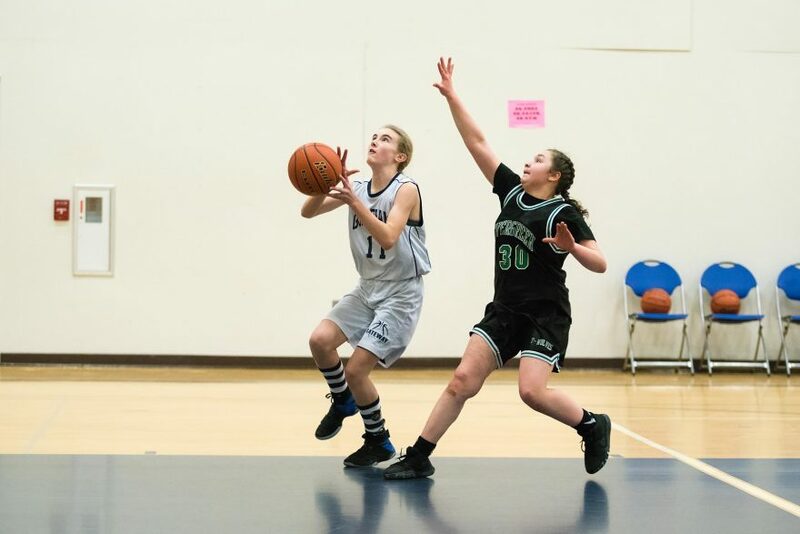 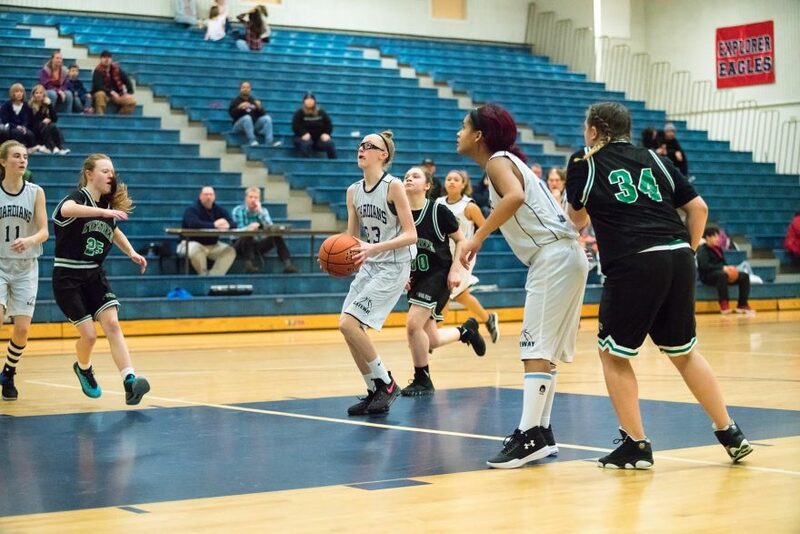 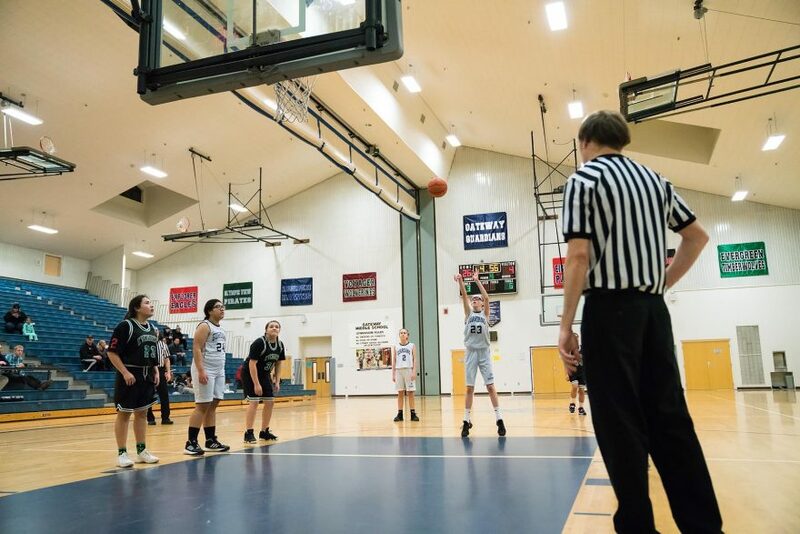 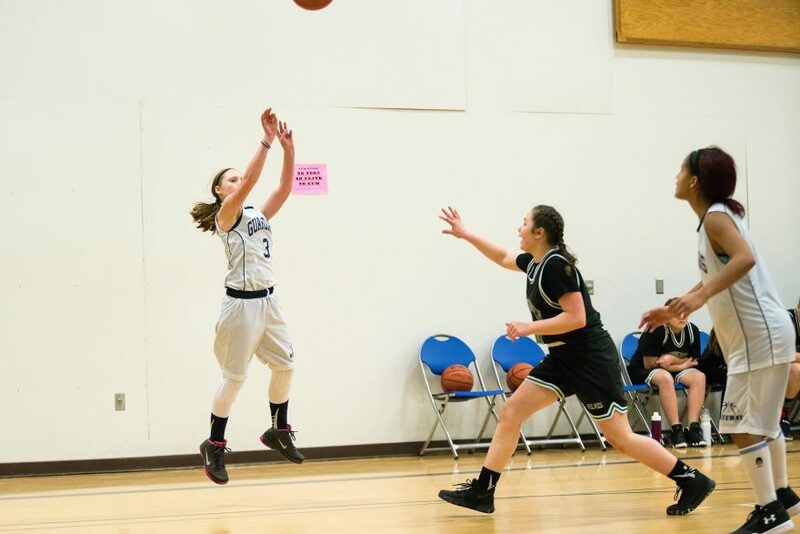 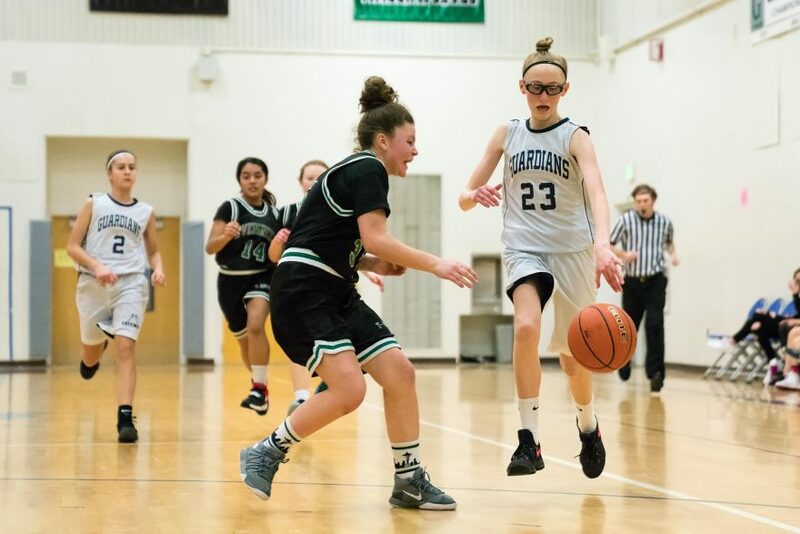 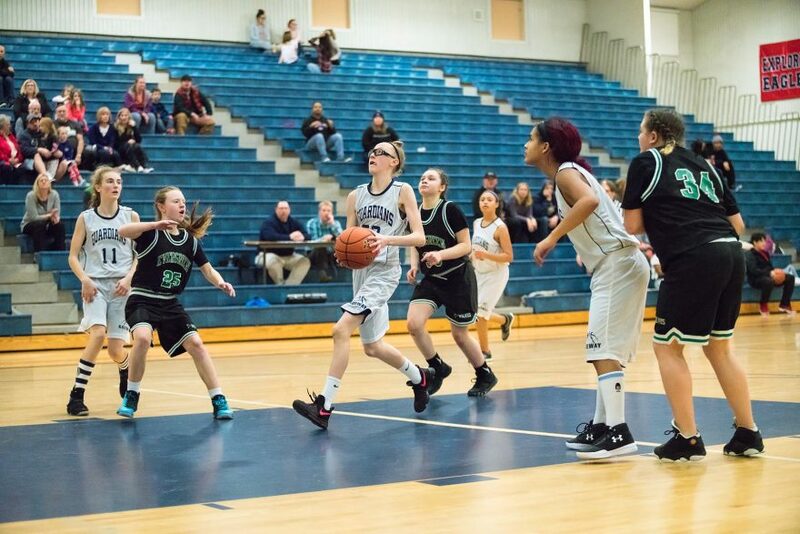 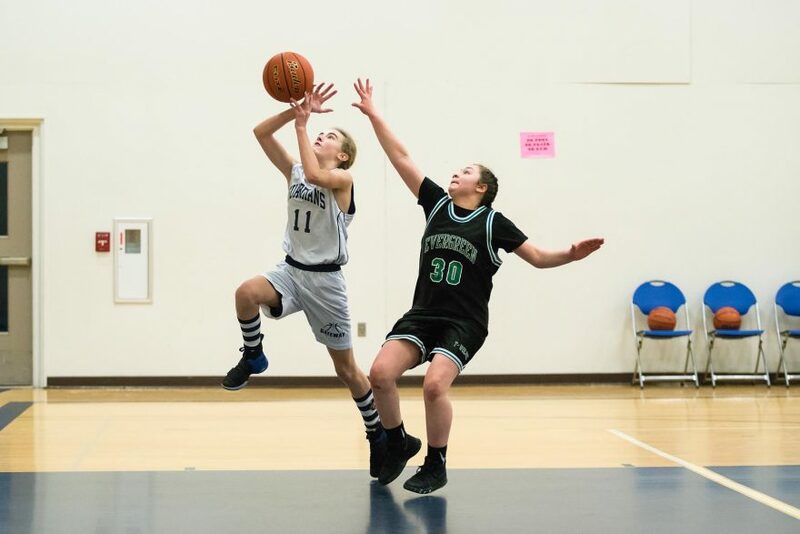 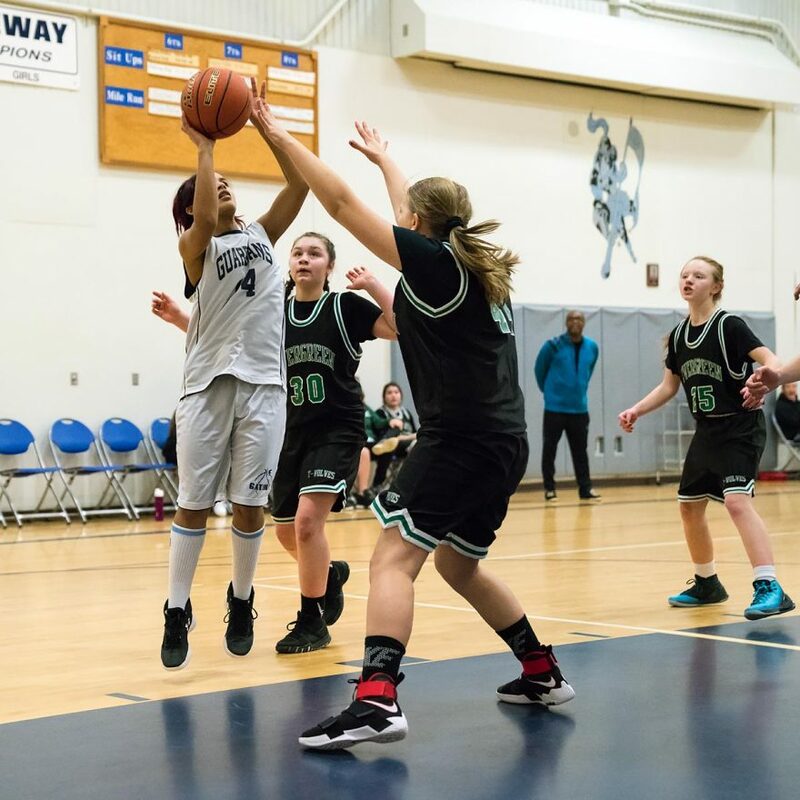 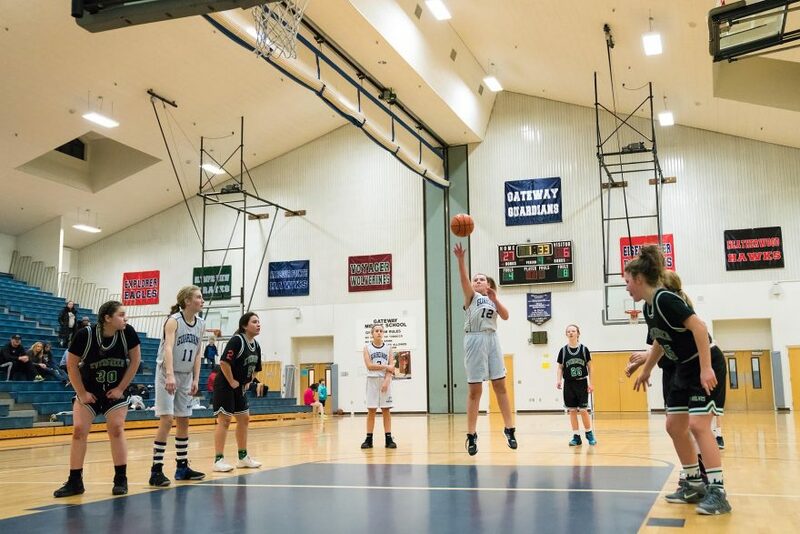 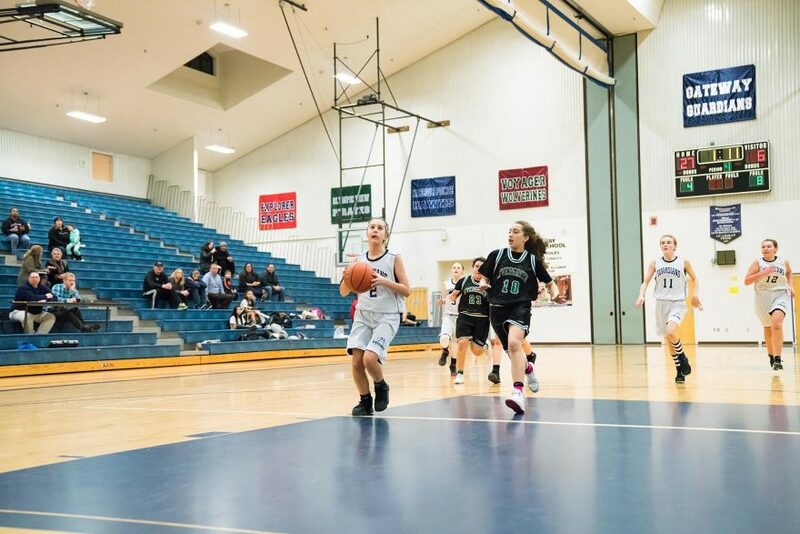 On Tuesday, the Gateway Guardians hosted the Evergreen Timberwolves in a game that started out slowly, with Gateway playing strong defense but slumping on shooting. 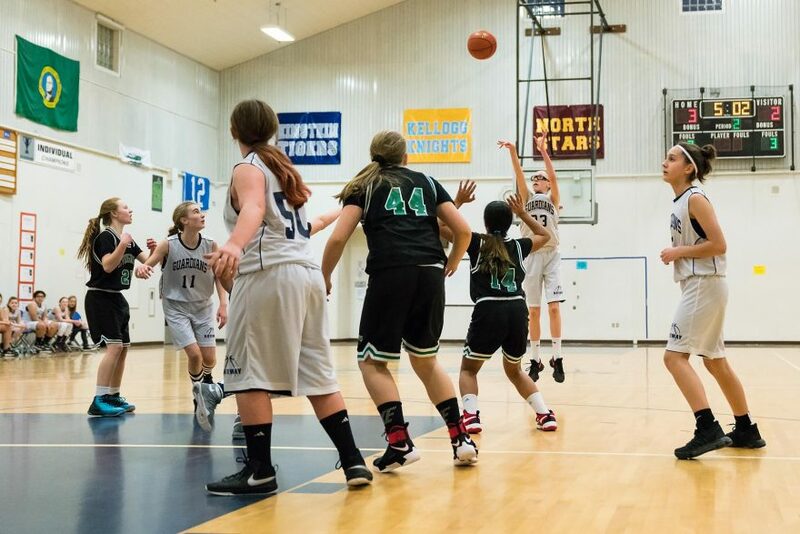 Evergreen hit two free-throws over the course of the quarter, leading the scoring 2-0 at the end of the first. 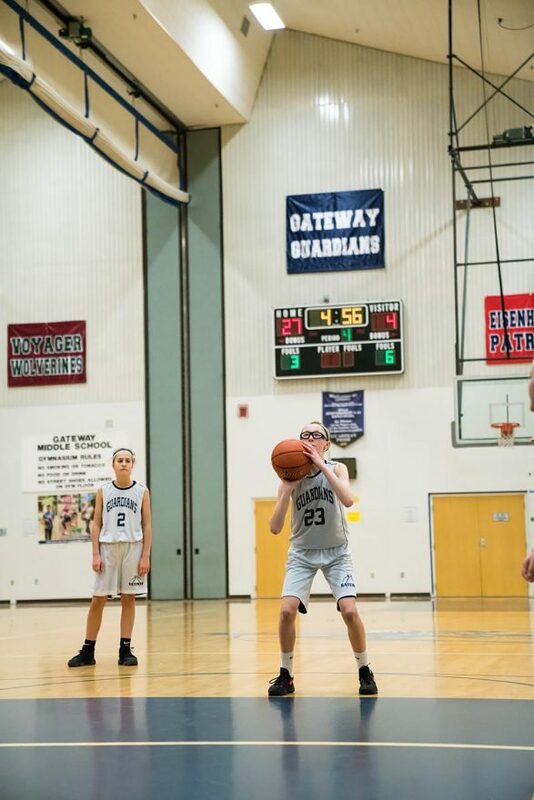 As the second quarter began, Gateway’s shots started finding the net and their score steadily climbed. 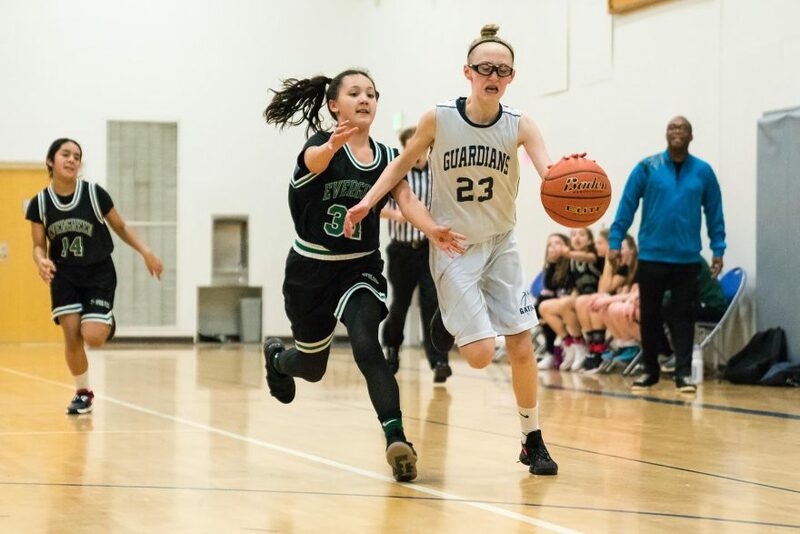 After two minutes, the score was 2-3, then a three-pointer made it 2-6, and as the half closed, the Guardian’s score had ballooned to 2-13. 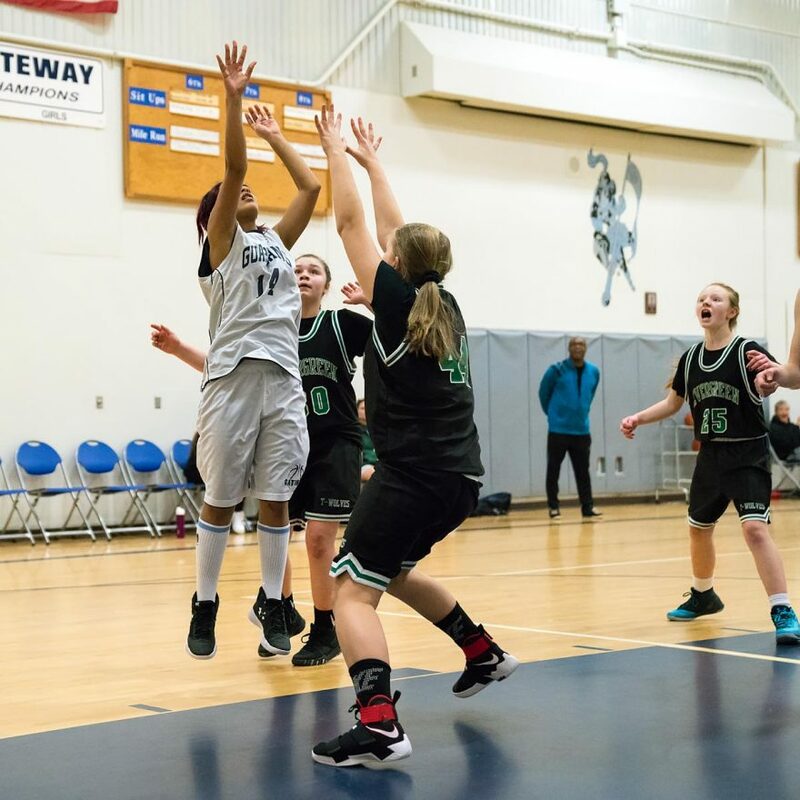 The 3rd quarter continued the trend from the 2nd, with Gateway hitting a shot from the top of the key to start things off at 2-15. 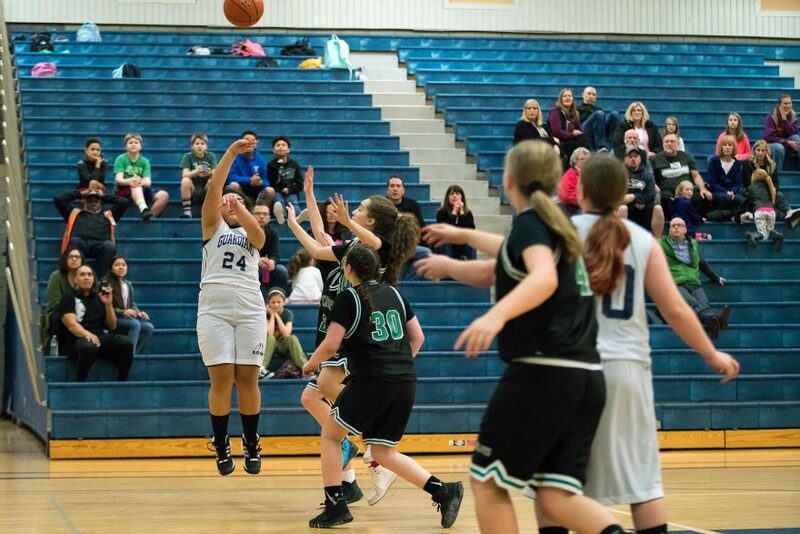 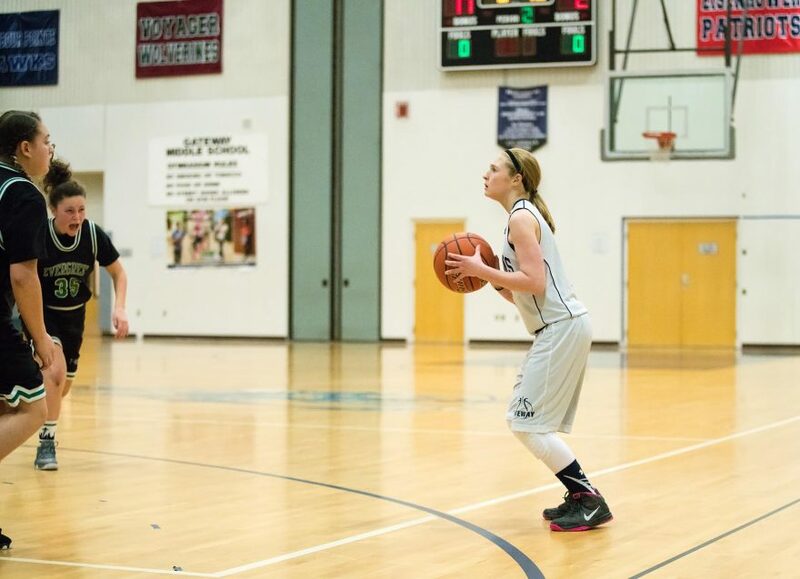 A shot off a rebound and another three-pointer made the score 2-20. 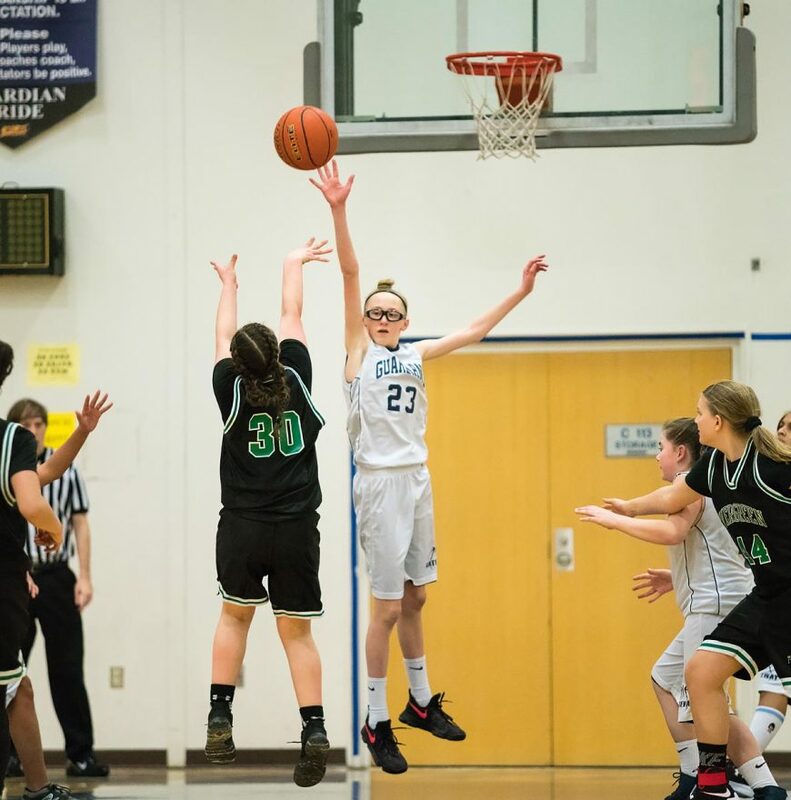 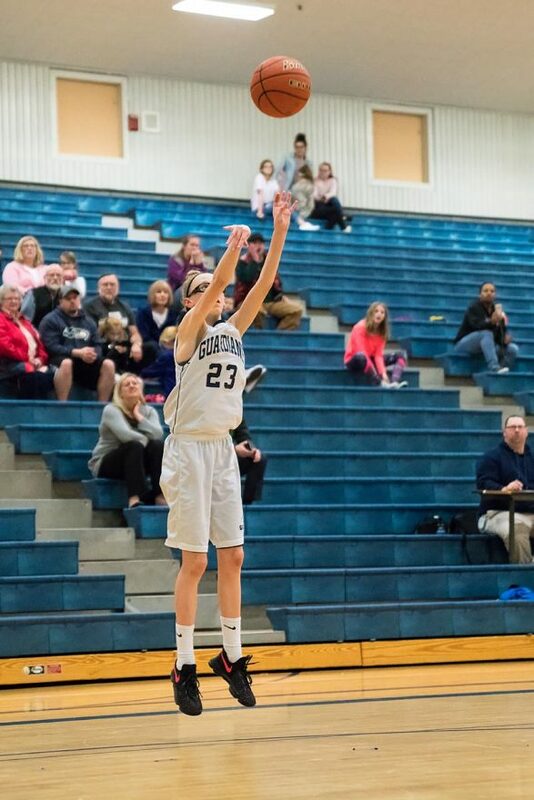 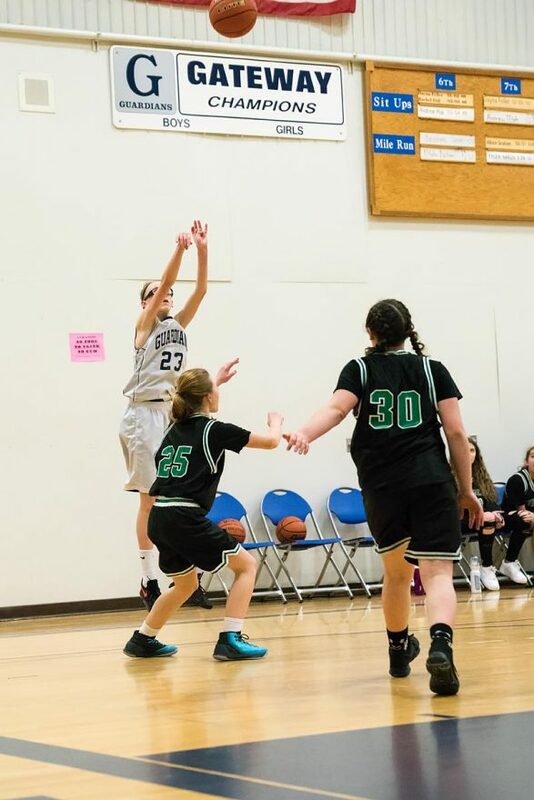 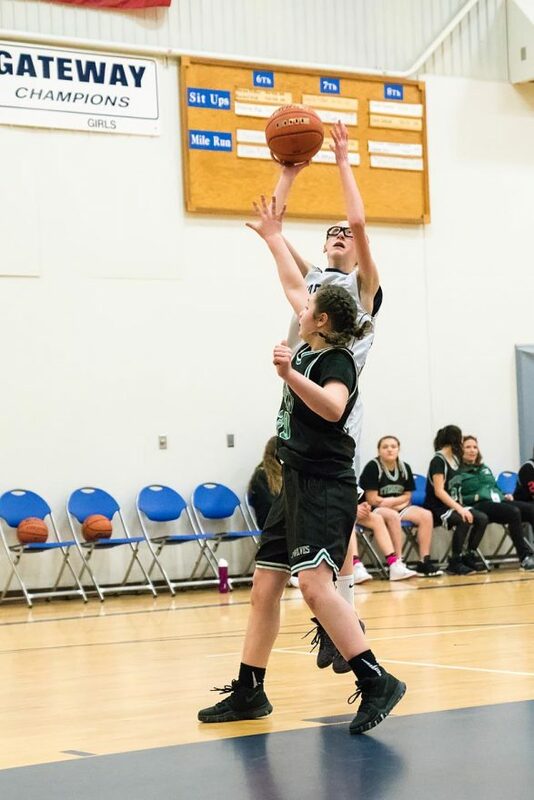 With a minute and a half left in the period, Evergreen’s #30 hit a twelve foot jump shot for the T-Wolves first points in two quarters, and first shot from the floor in the game (4-22). 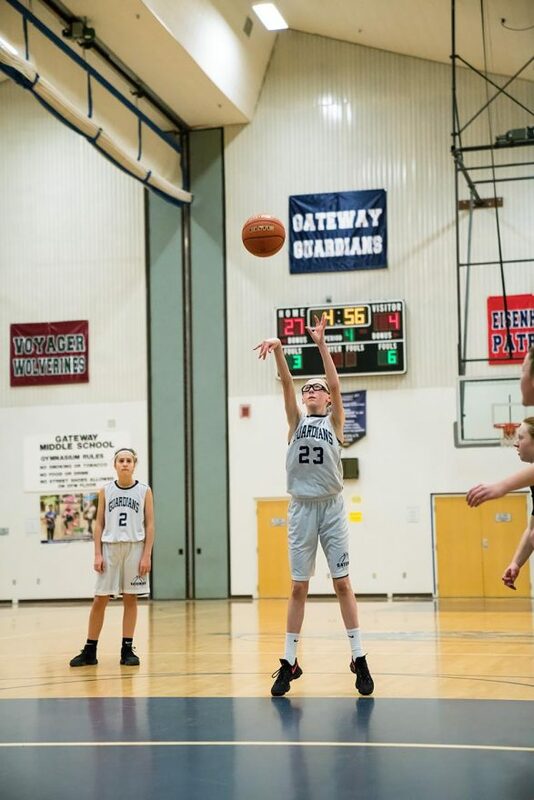 In the opening seconds of the 4th quarter, Gateway’s #23 made a breakaway layup to regain their margin, and with three minutes remaining, the score was 4-27. 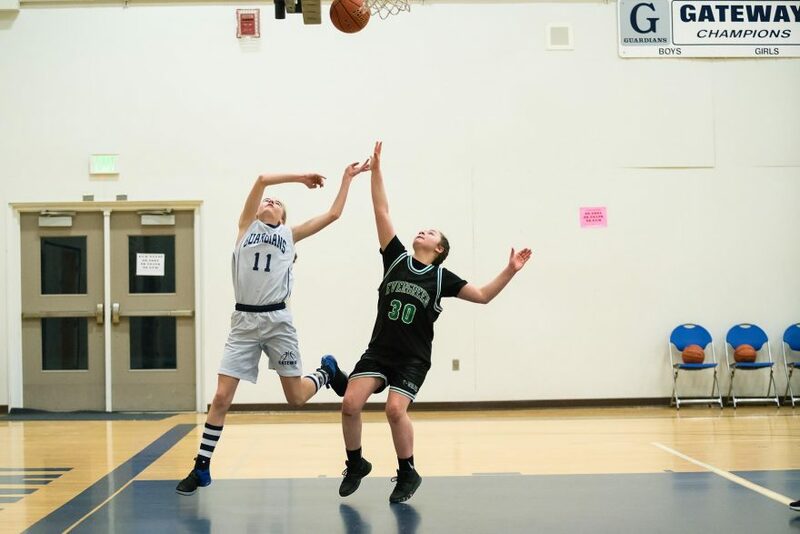 The Timberwolves made the most of the final minutes of the game, hitting two shots and a buzzer-beater to end the game. 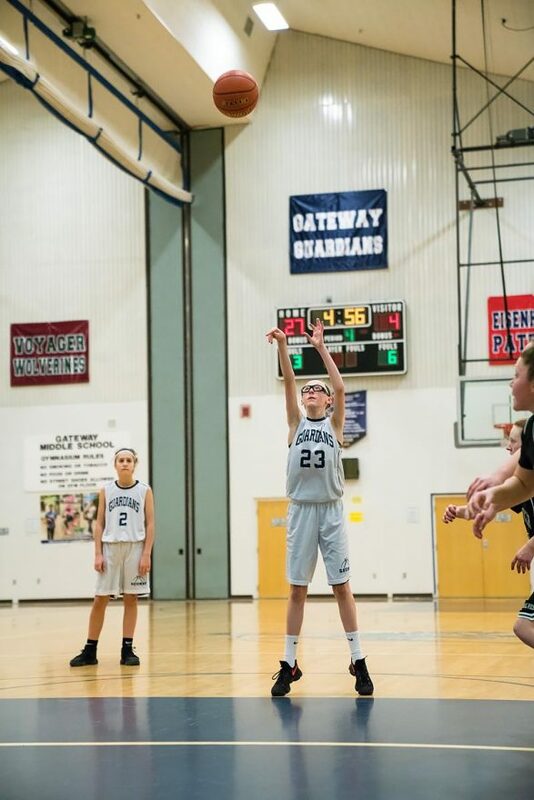 Final Score, 10-27, Gateway.